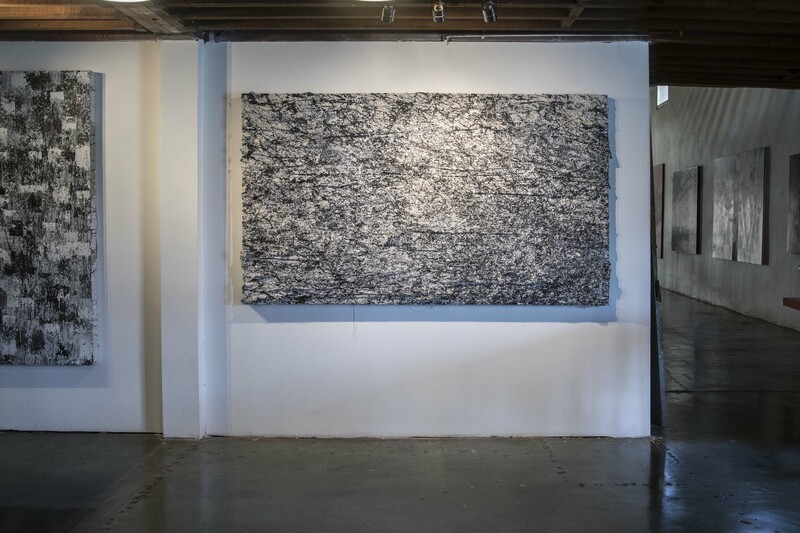 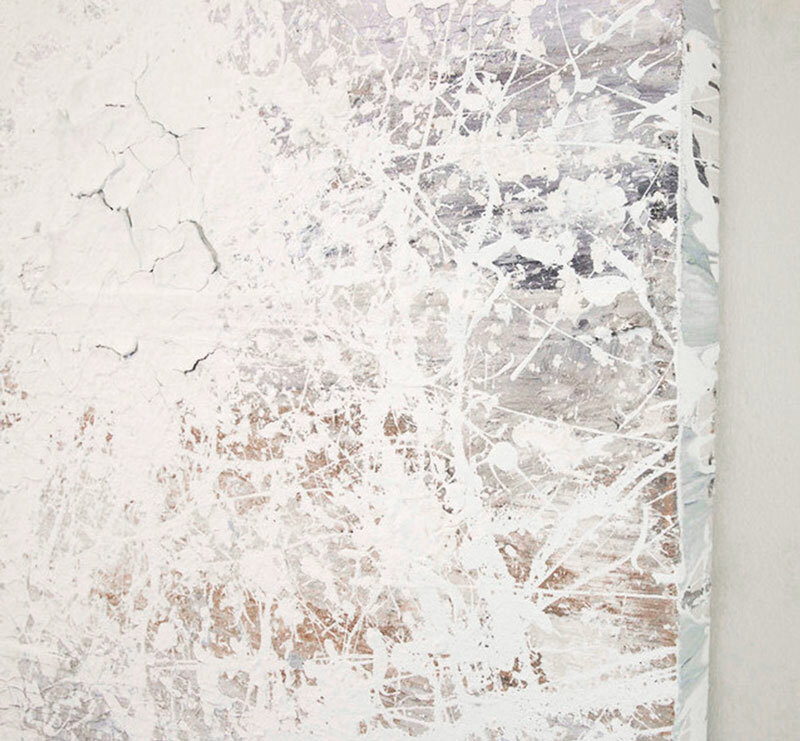 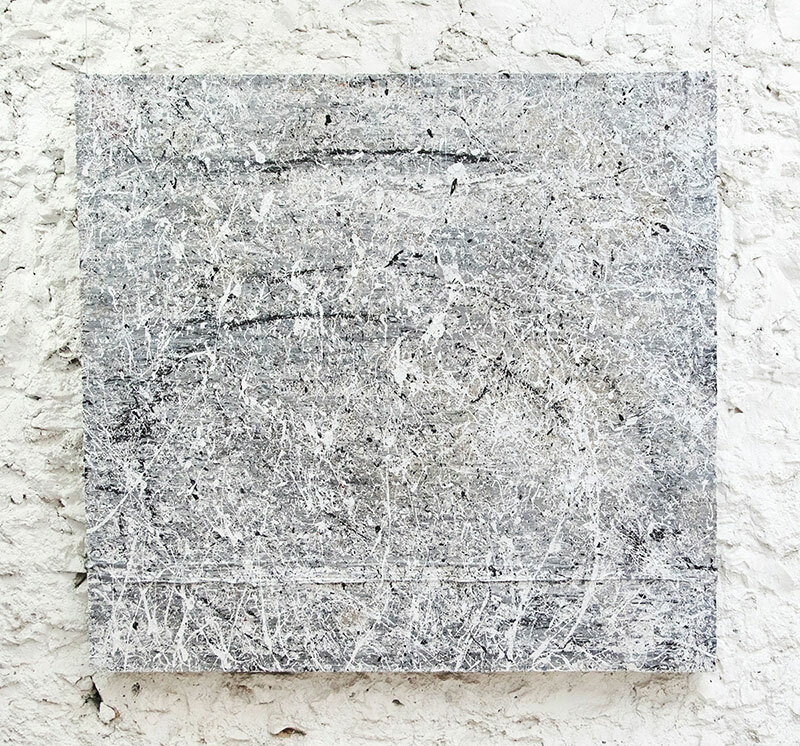 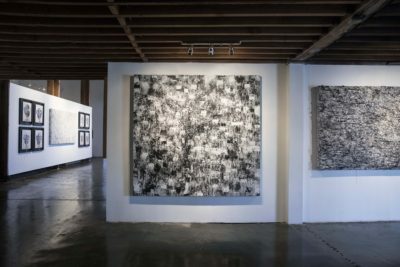 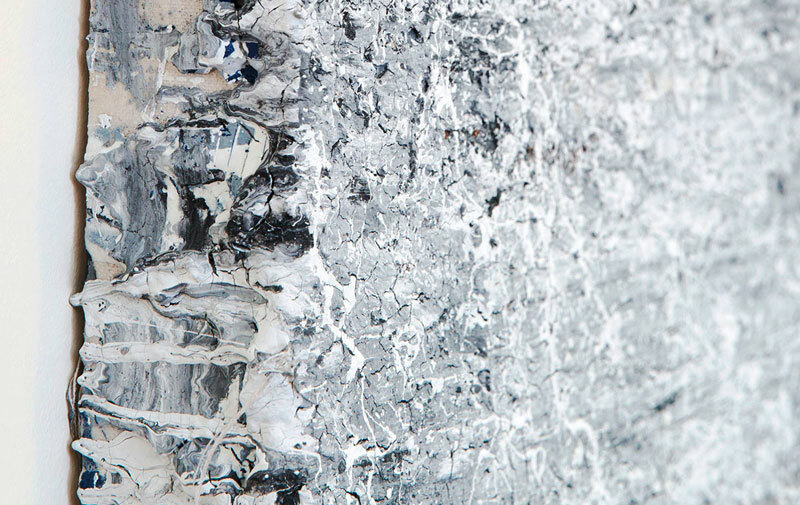 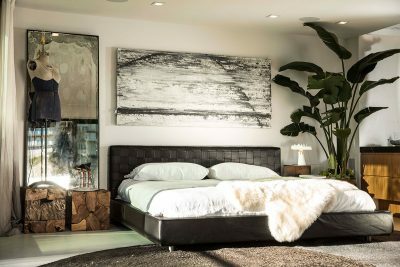 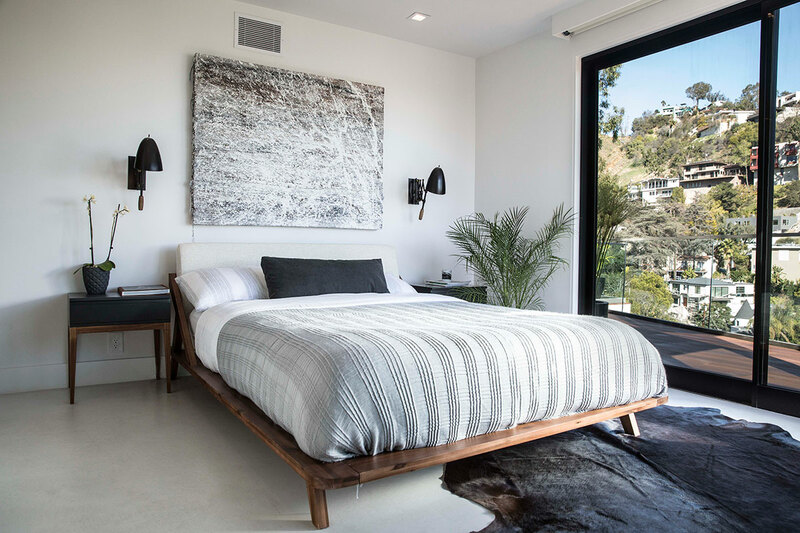 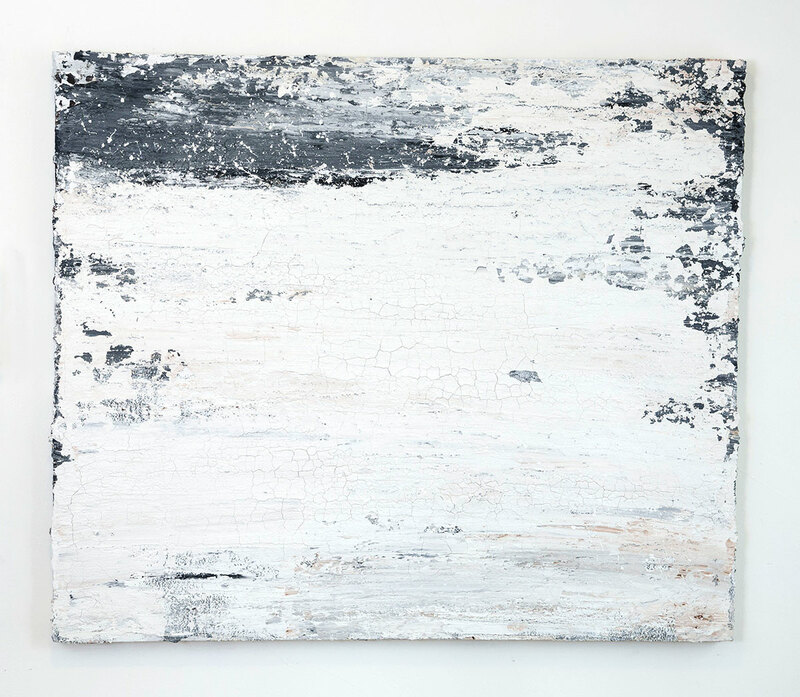 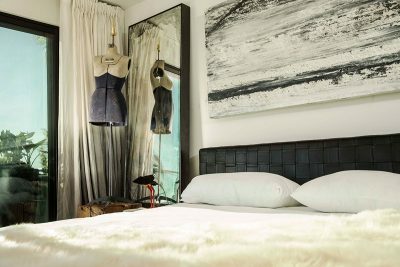 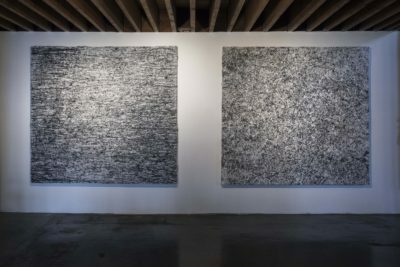 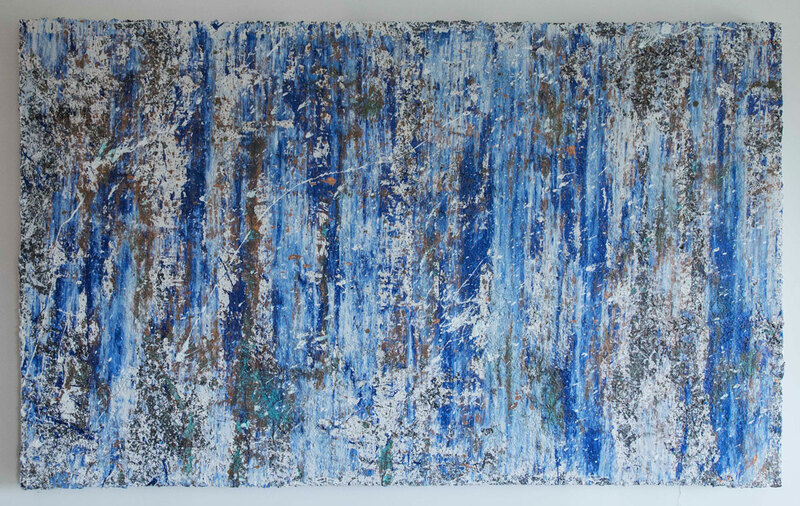 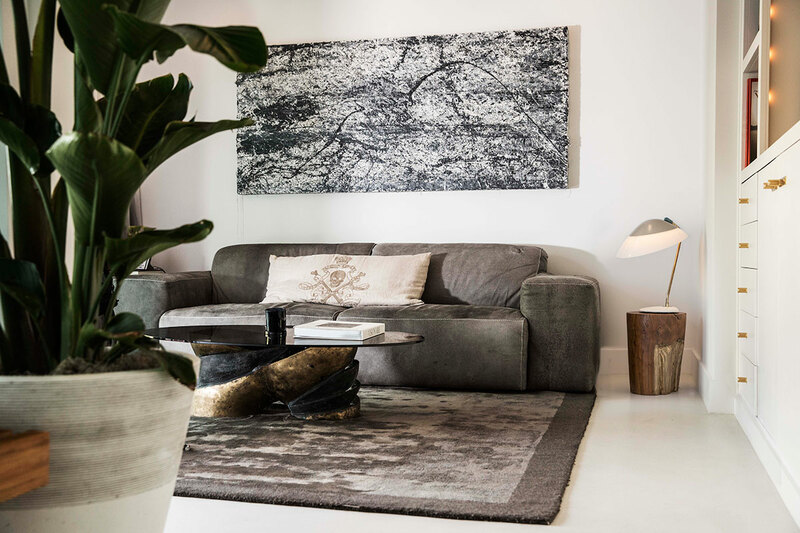 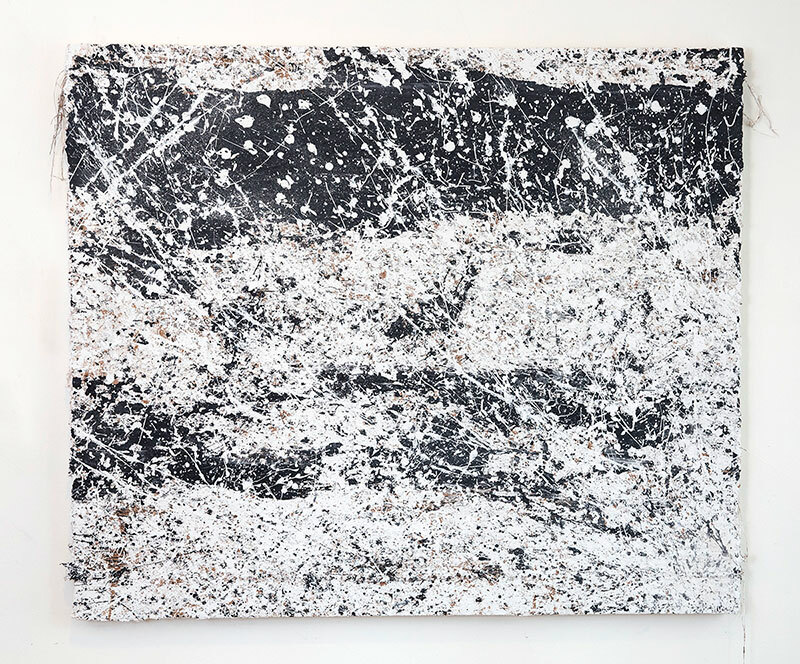 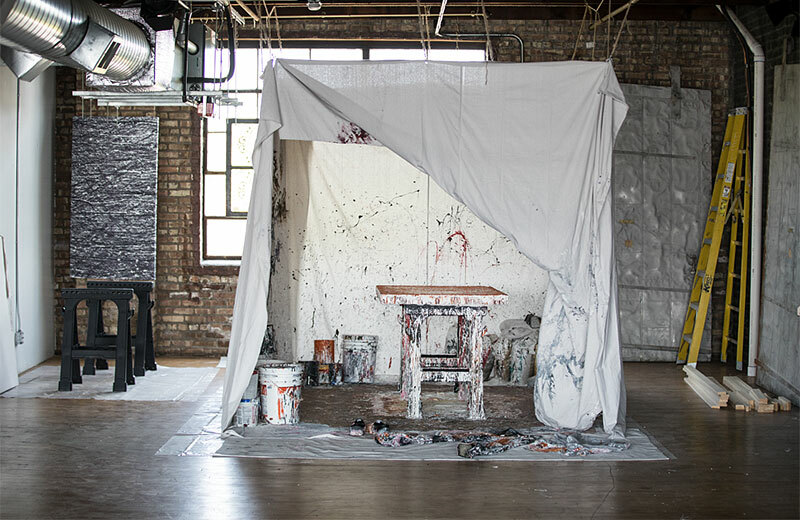 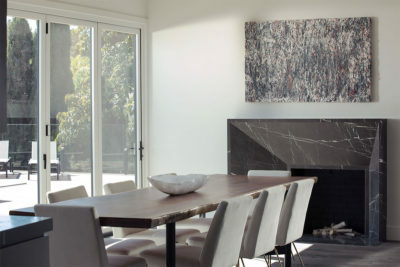 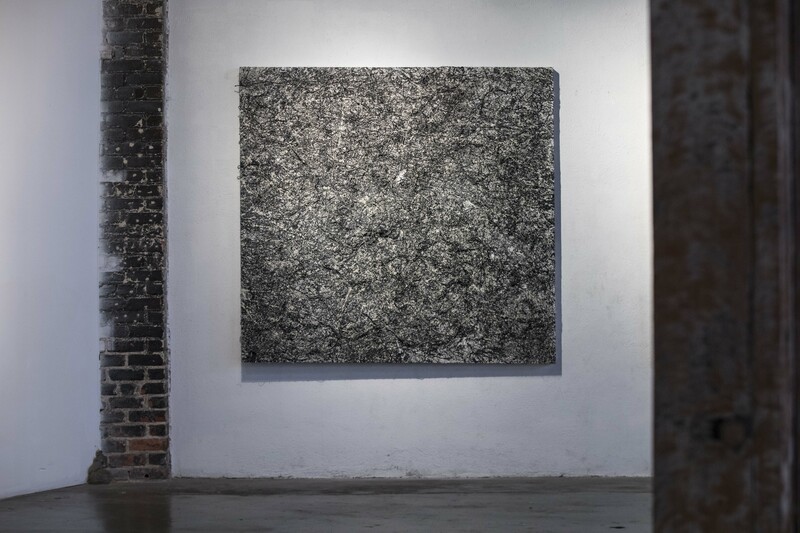 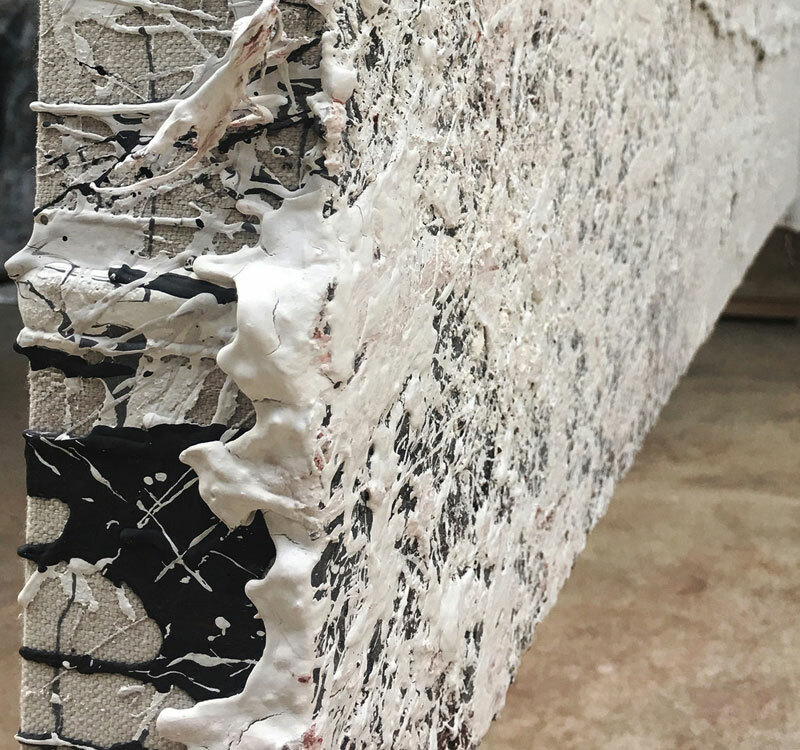 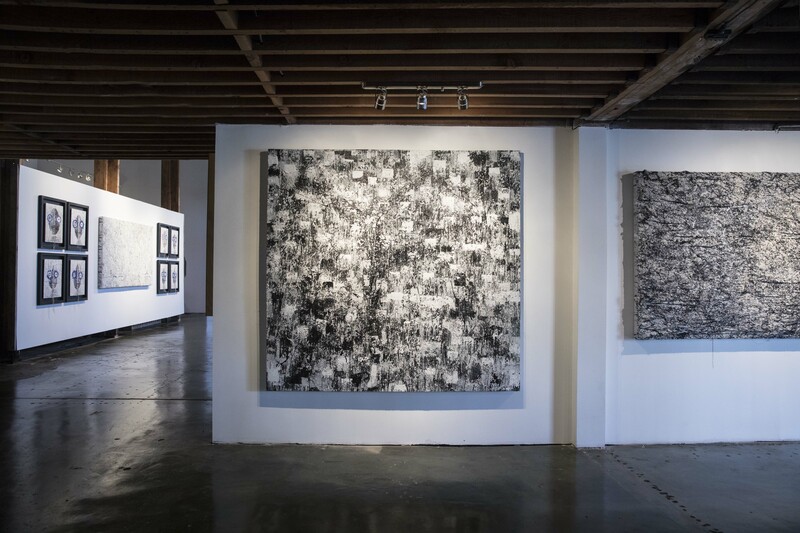 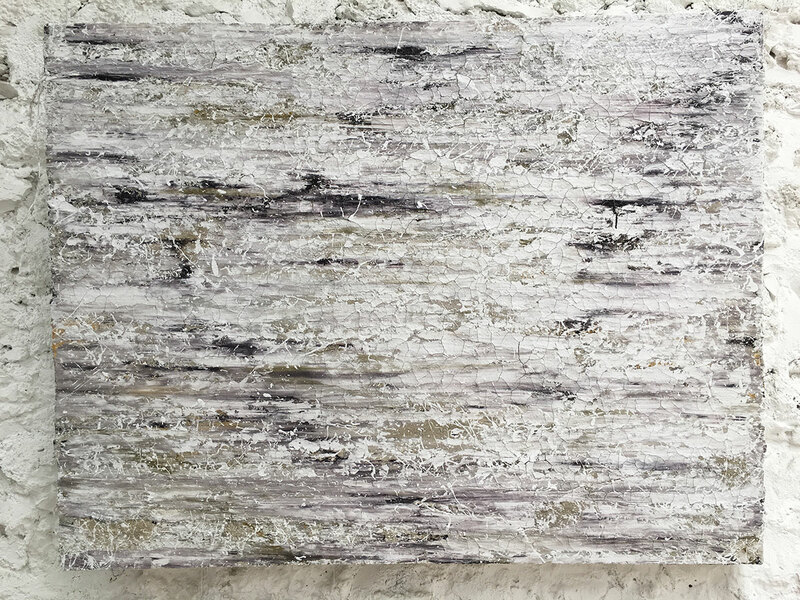 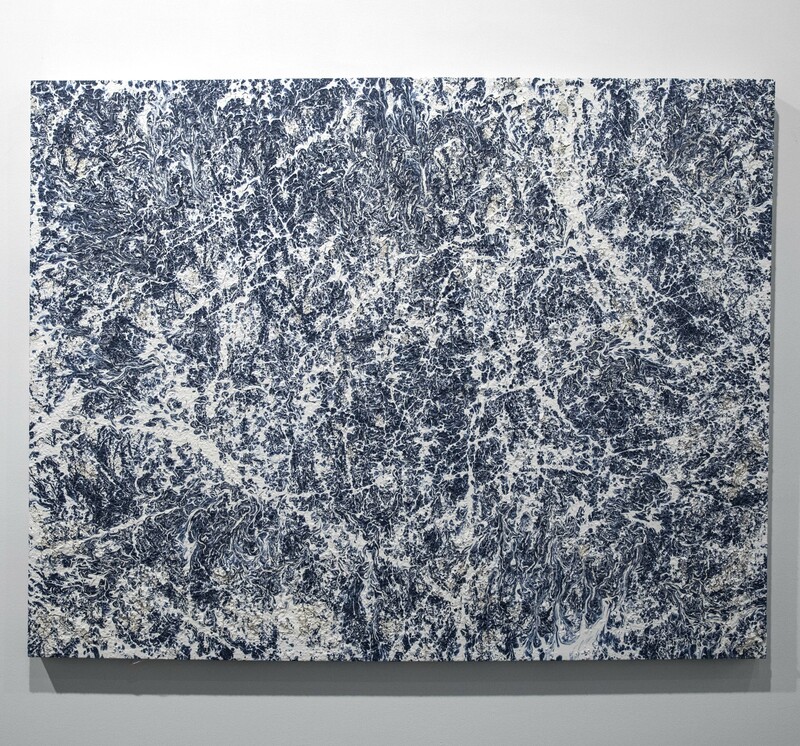 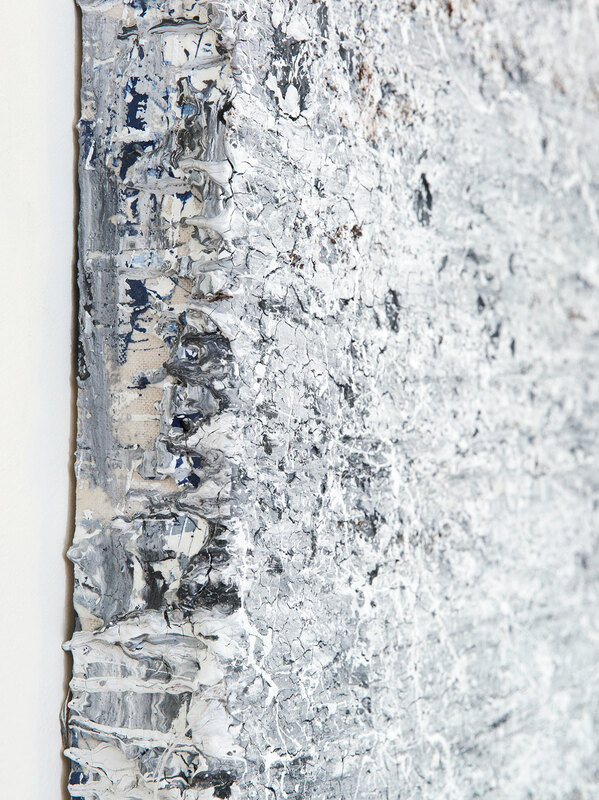 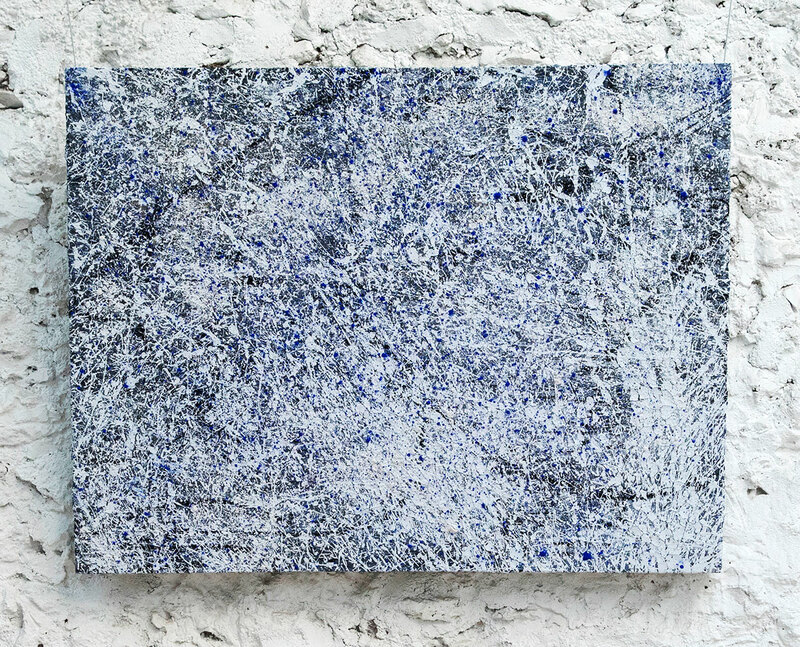 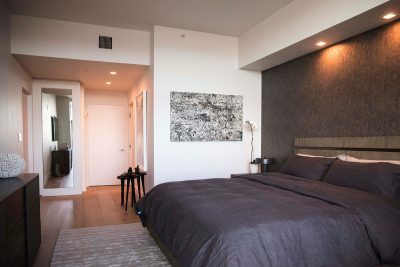 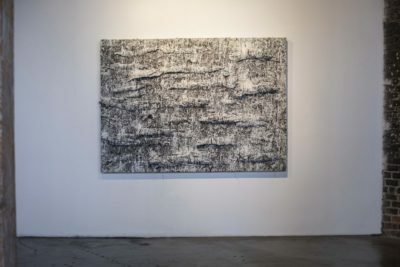 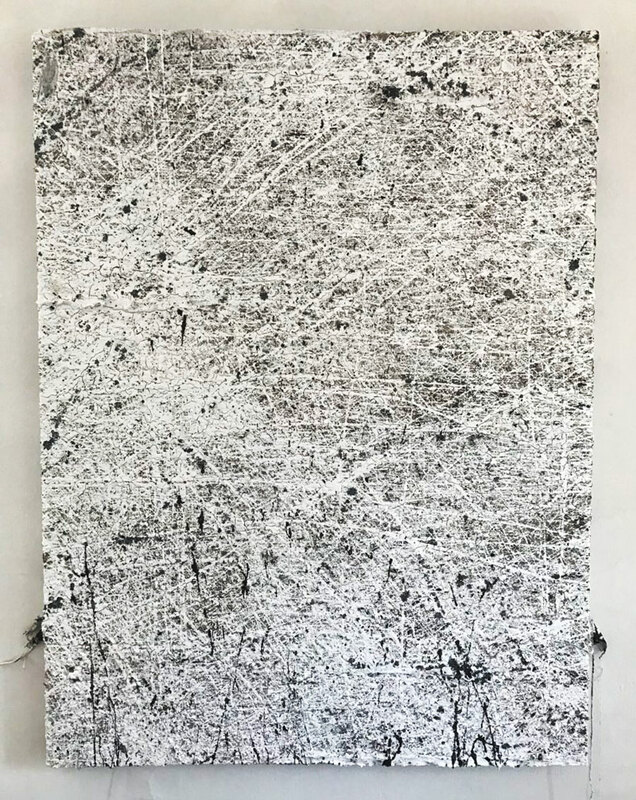 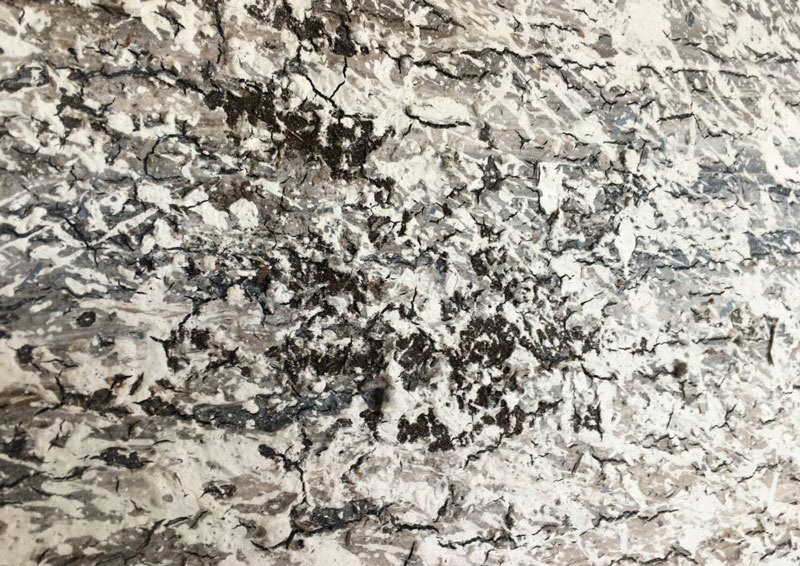 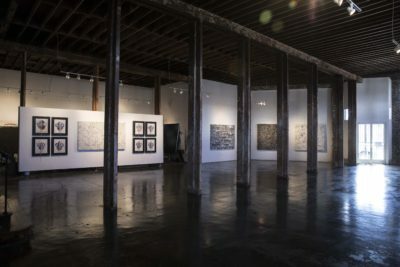 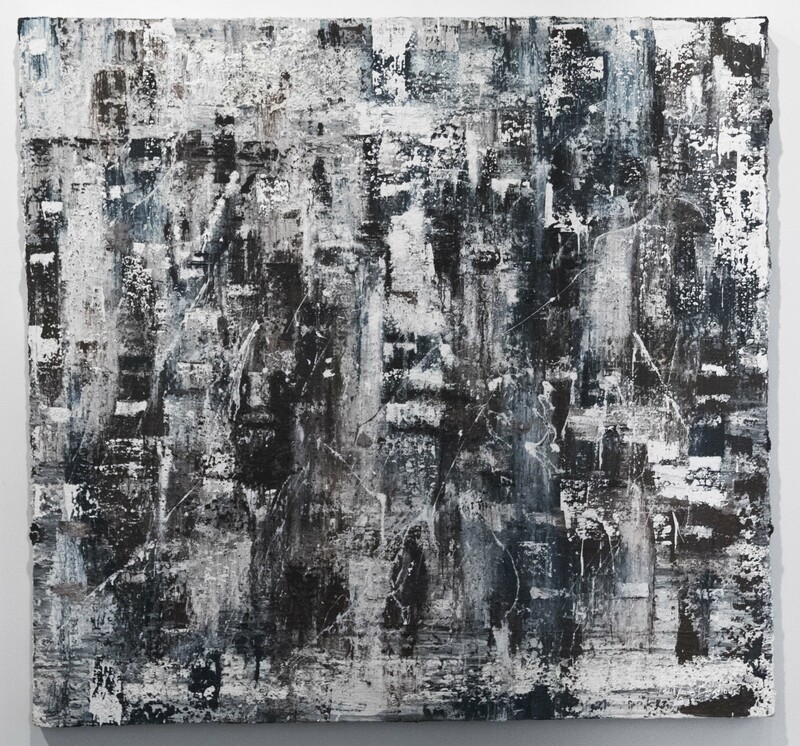 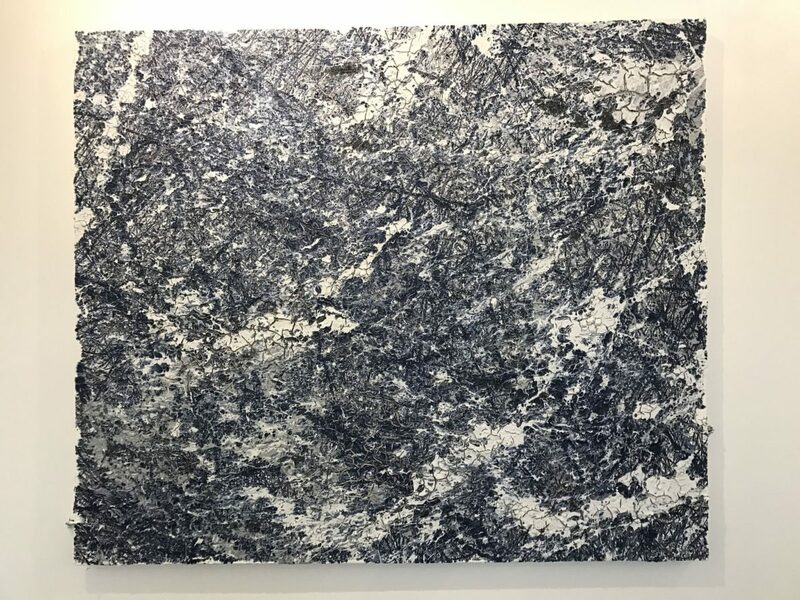 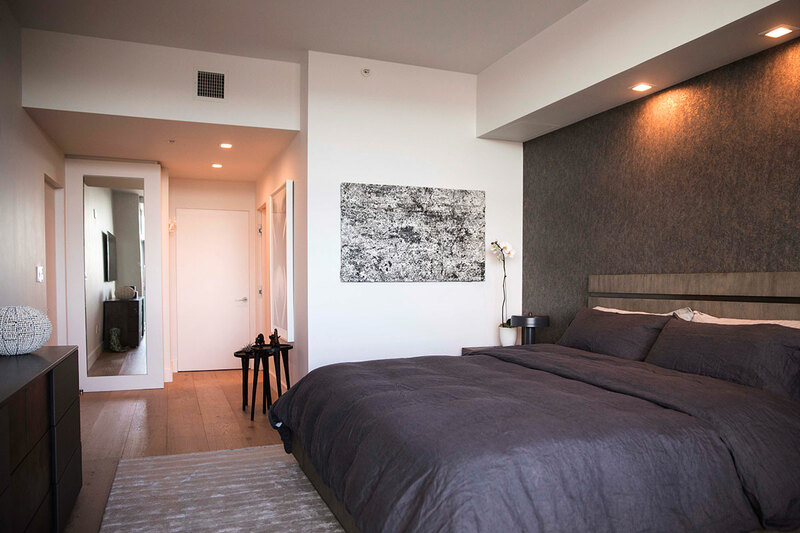 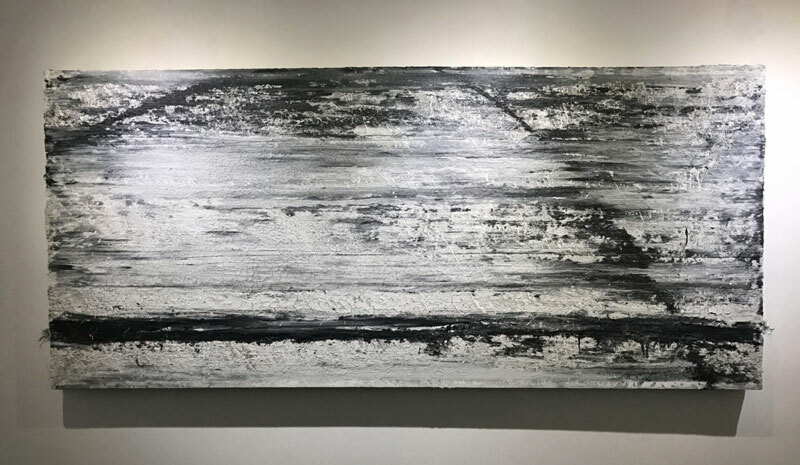 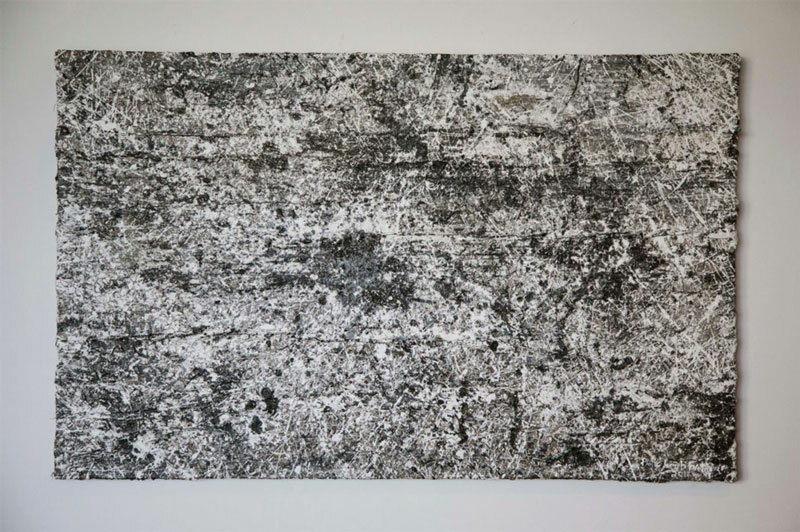 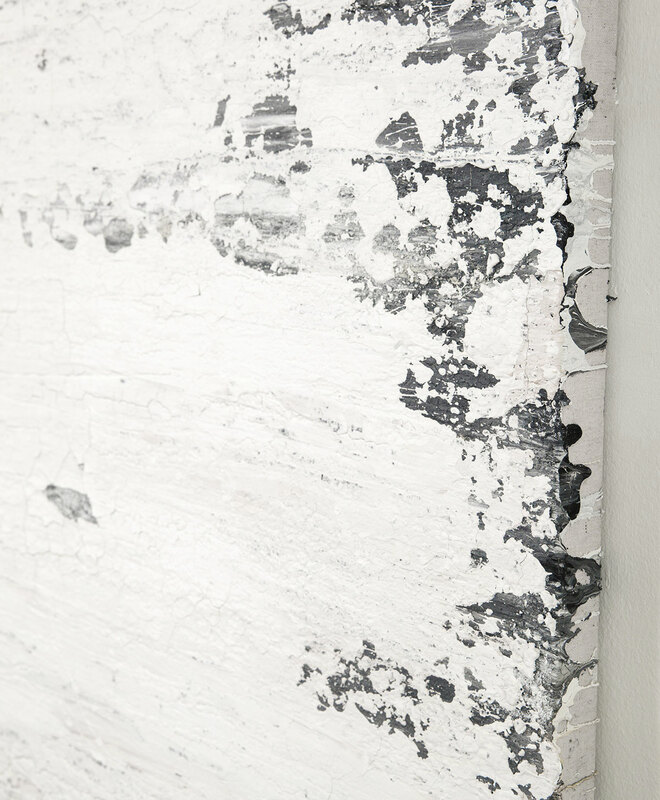 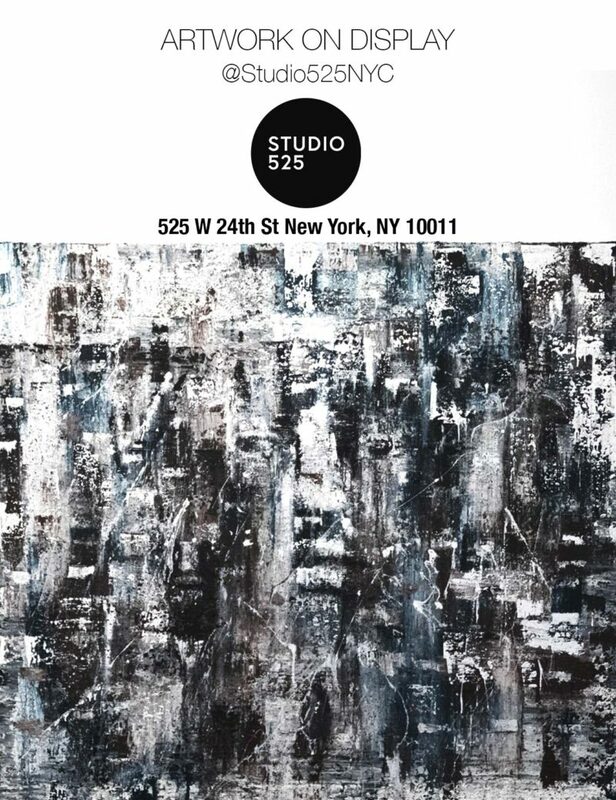 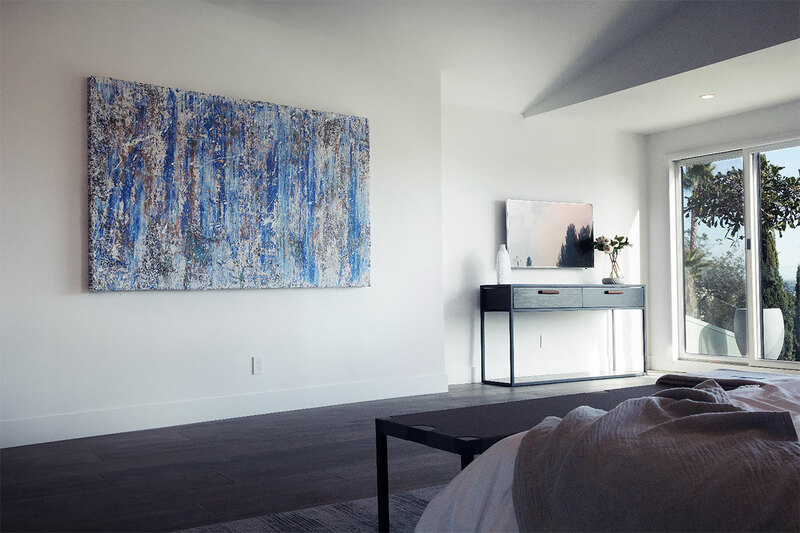 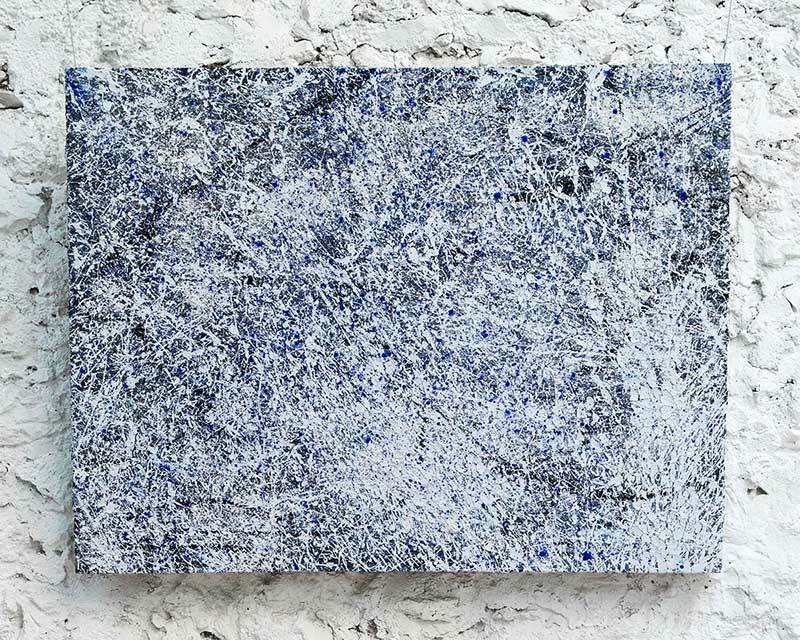 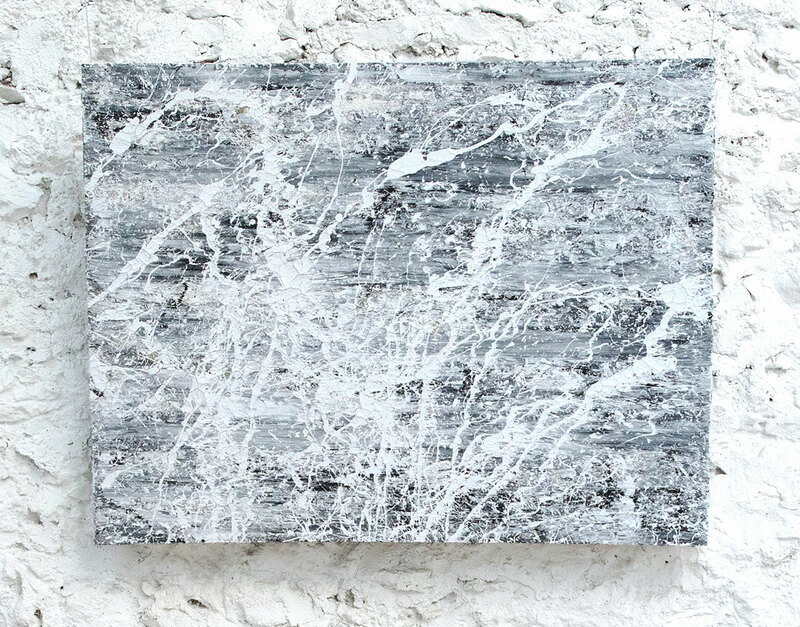 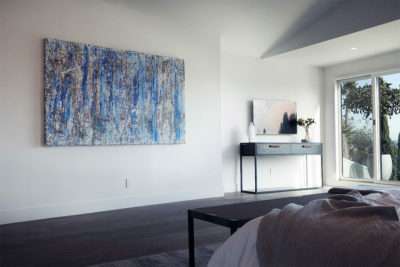 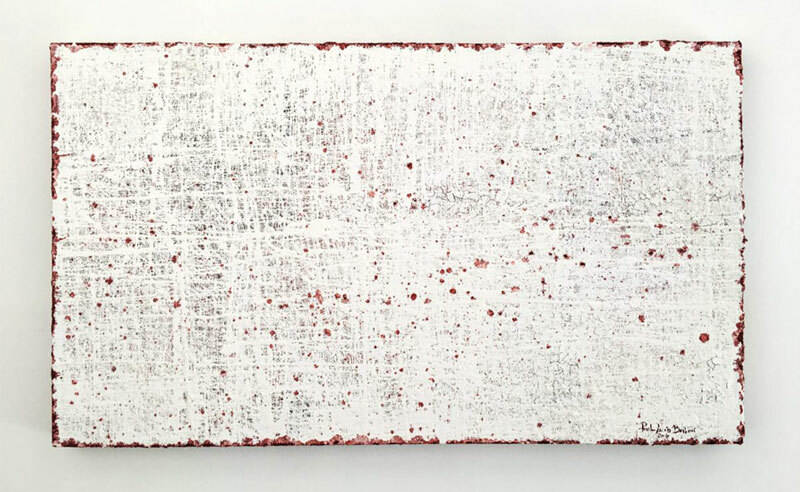 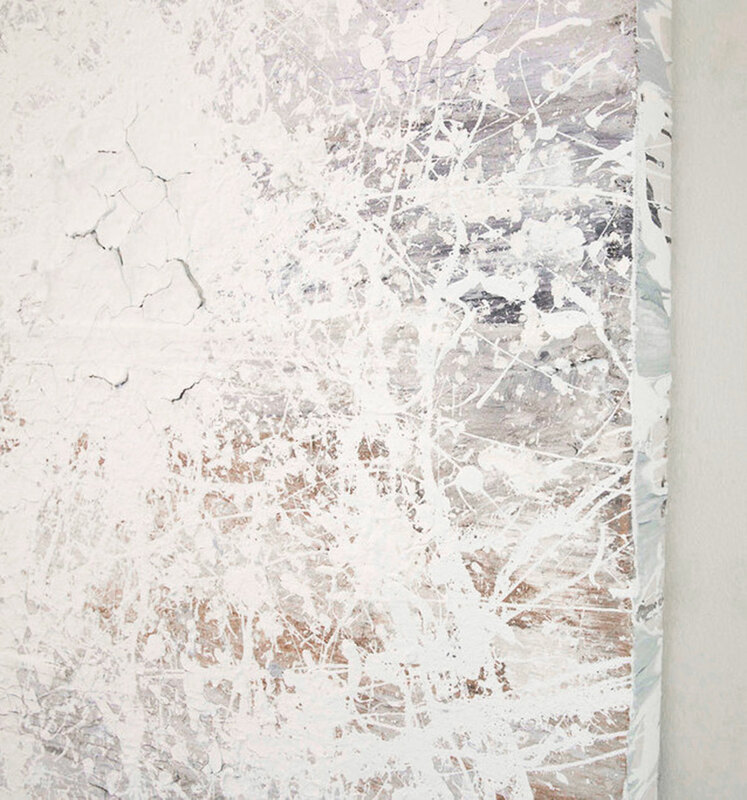 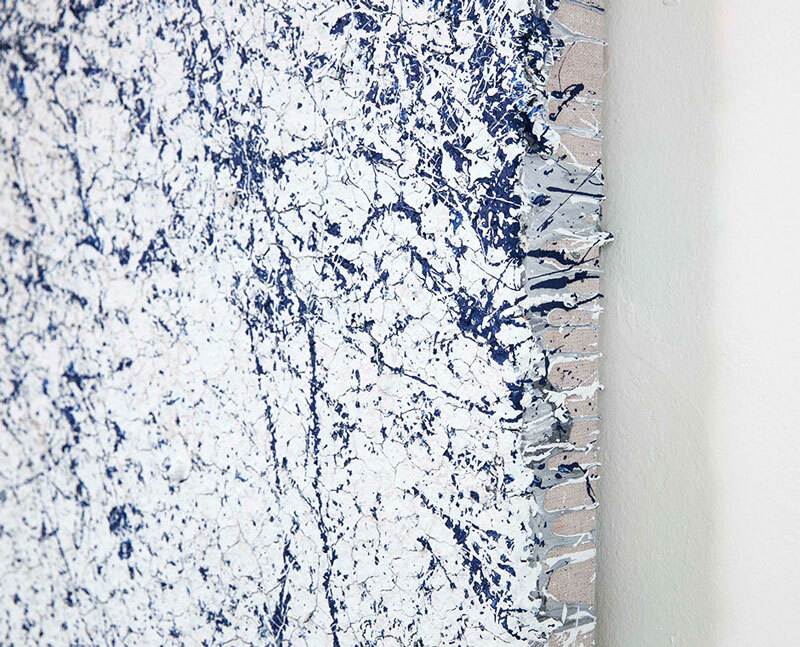 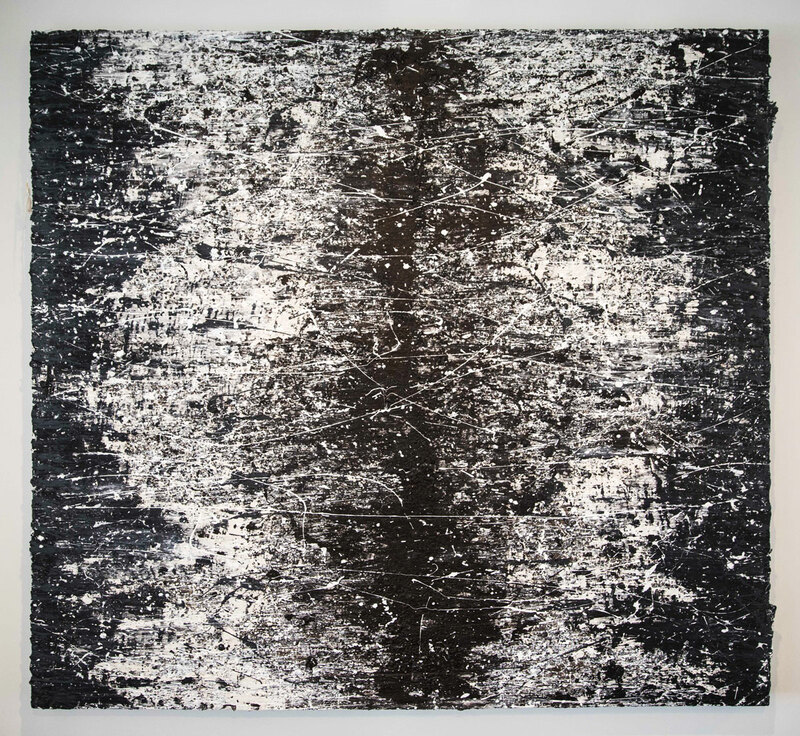 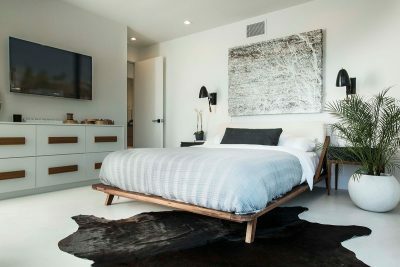 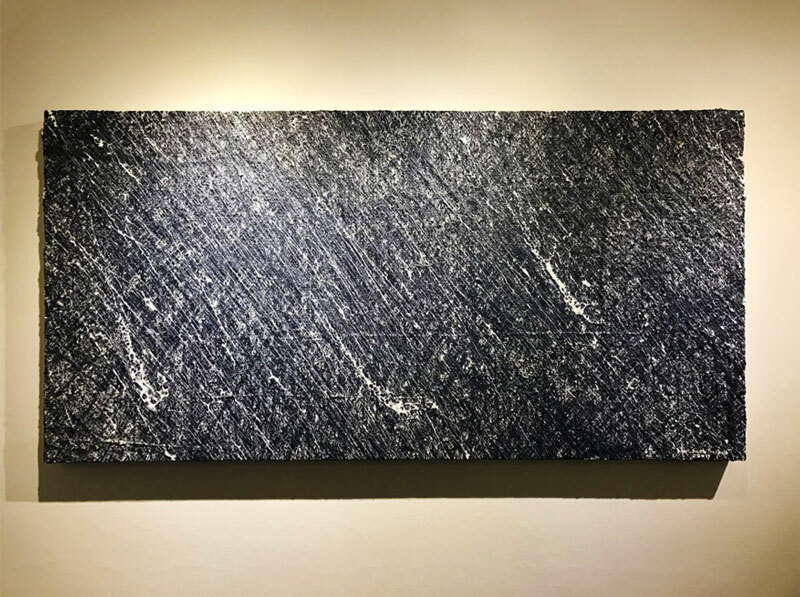 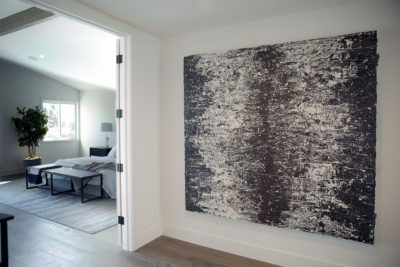 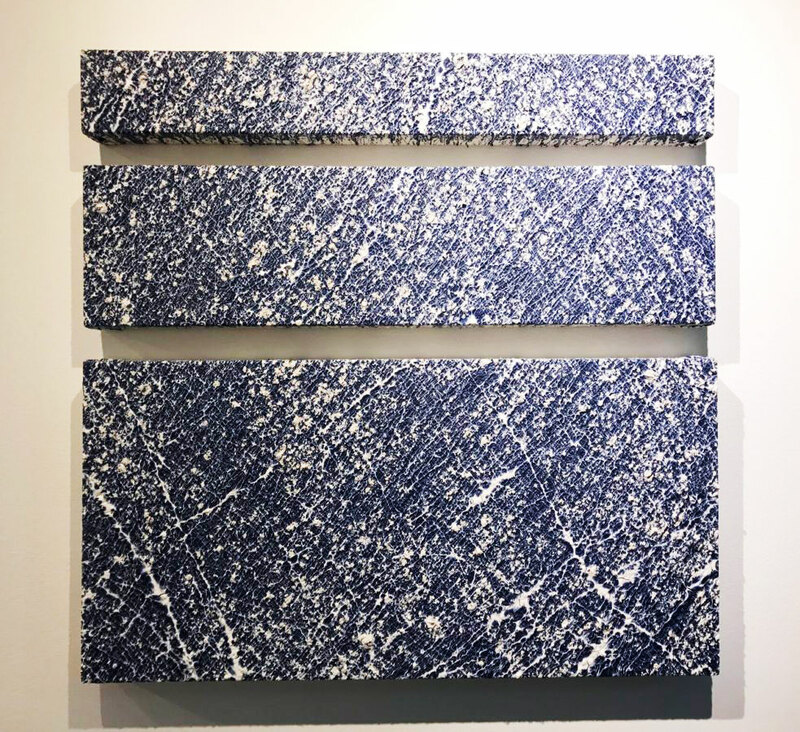 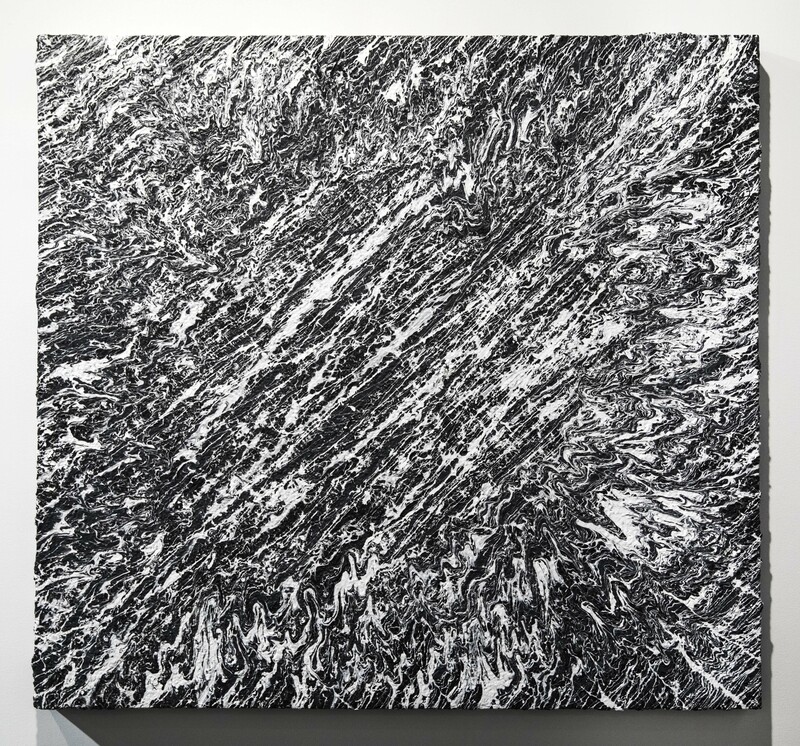 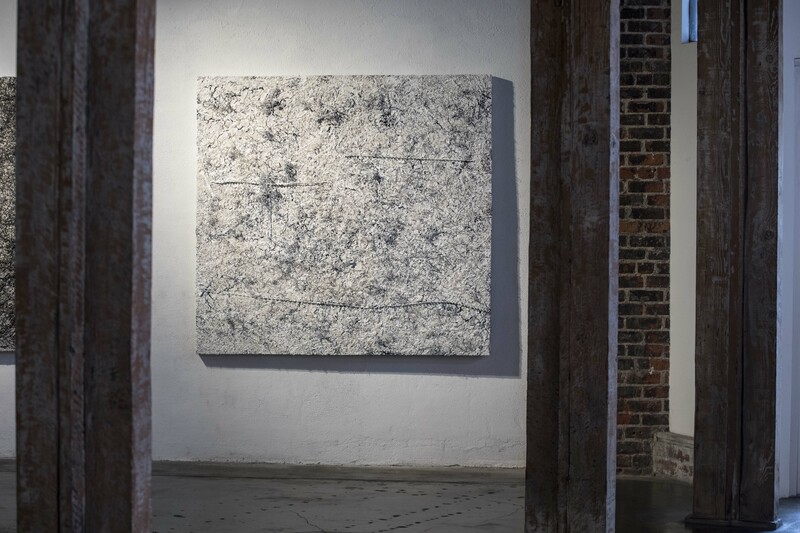 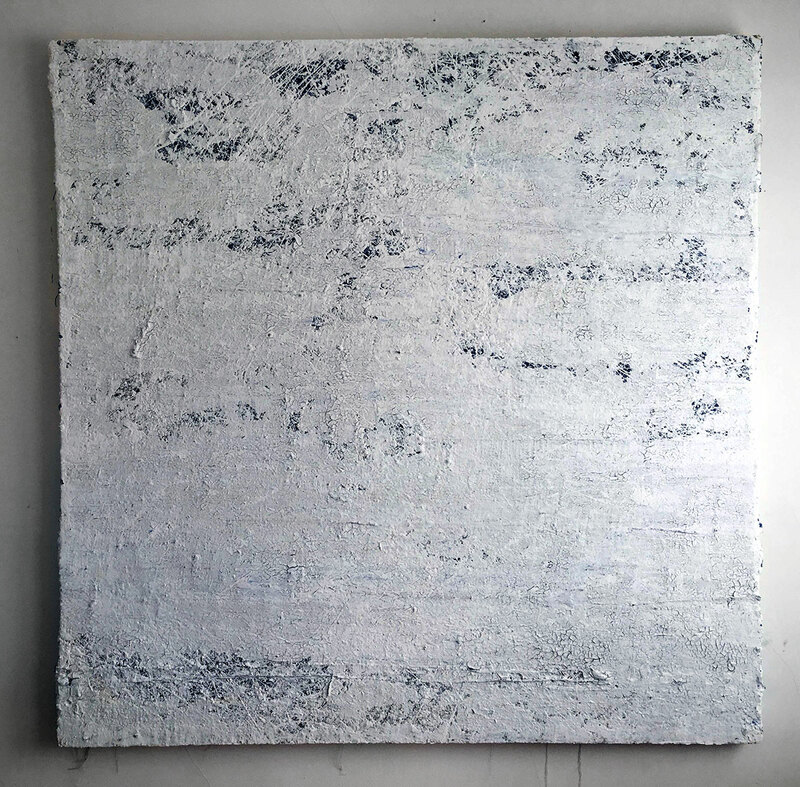 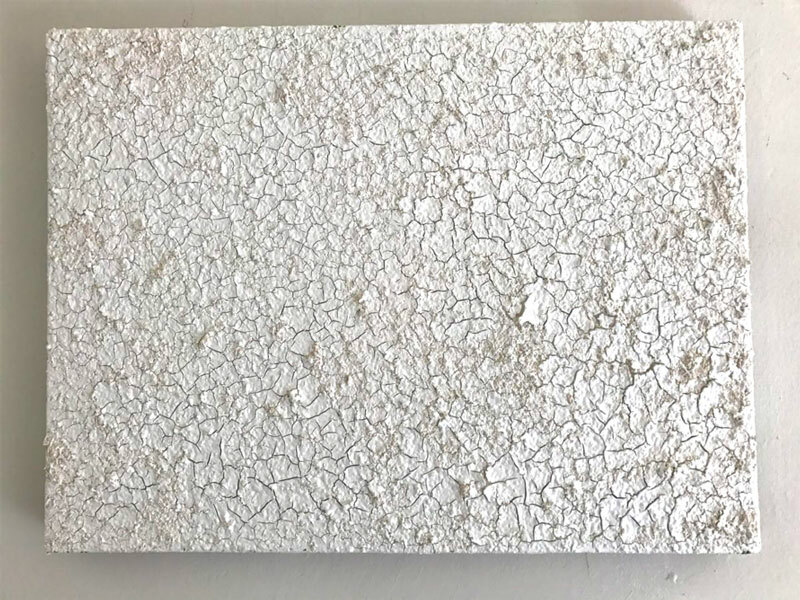 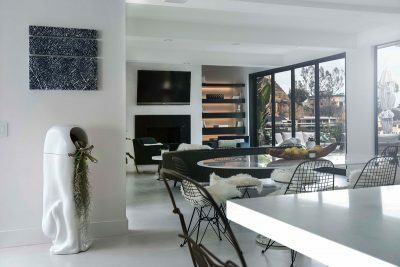 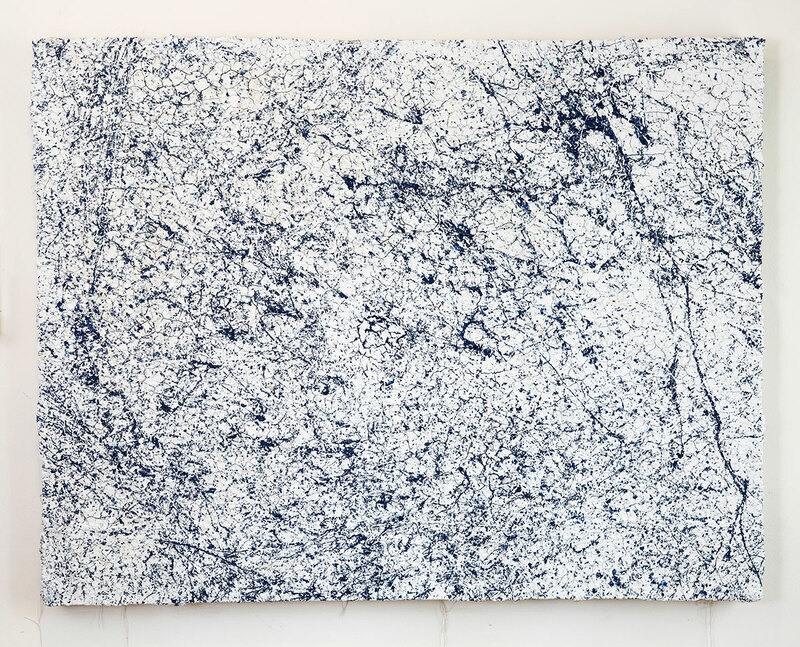 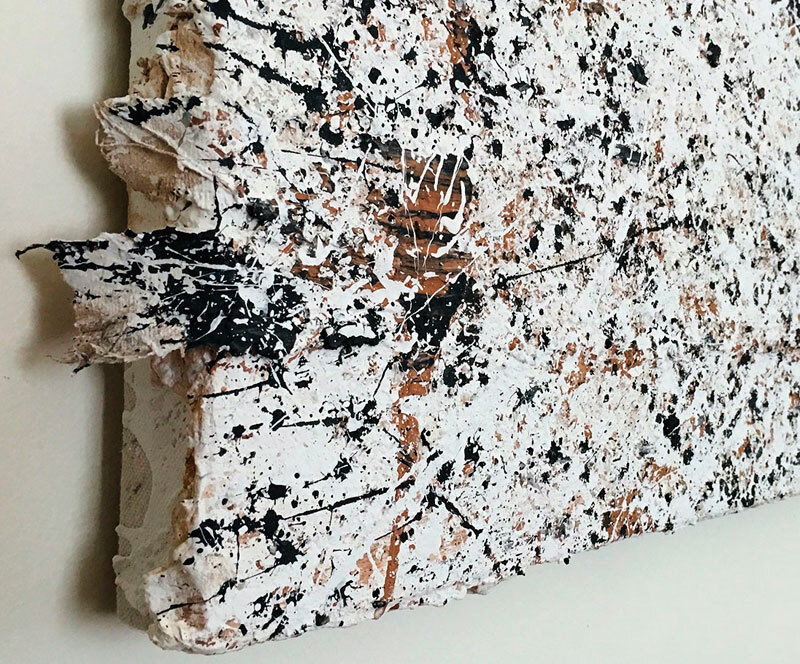 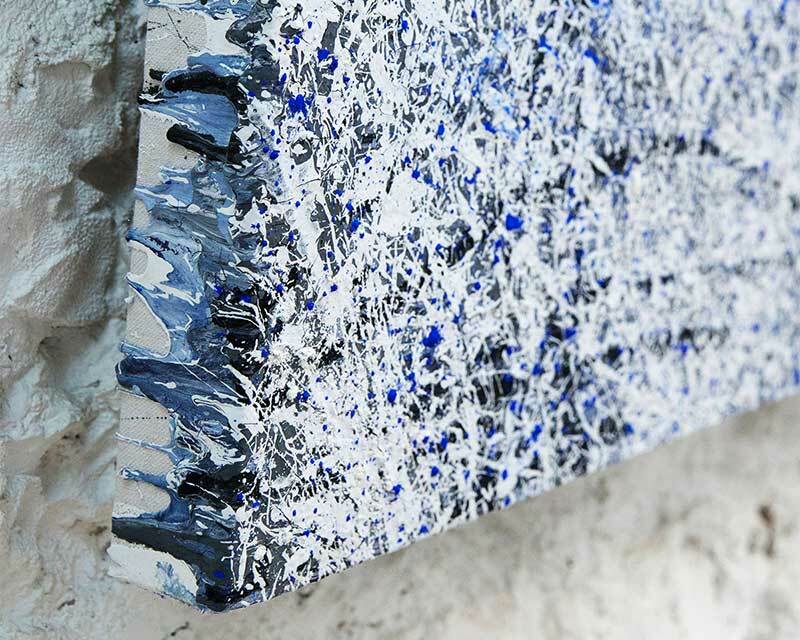 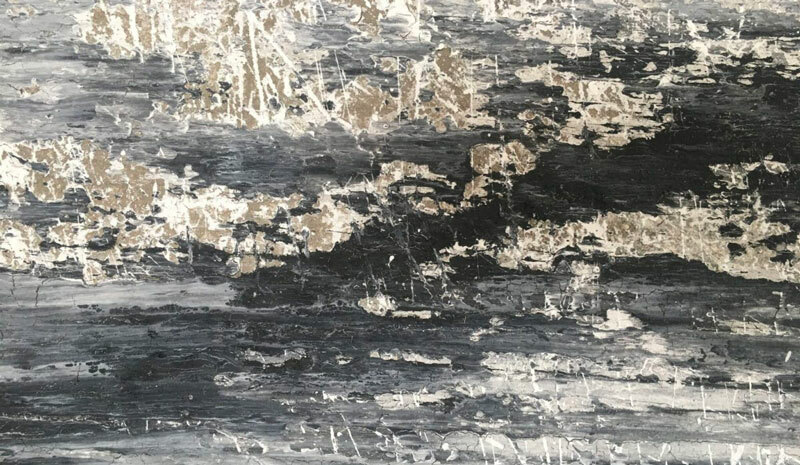 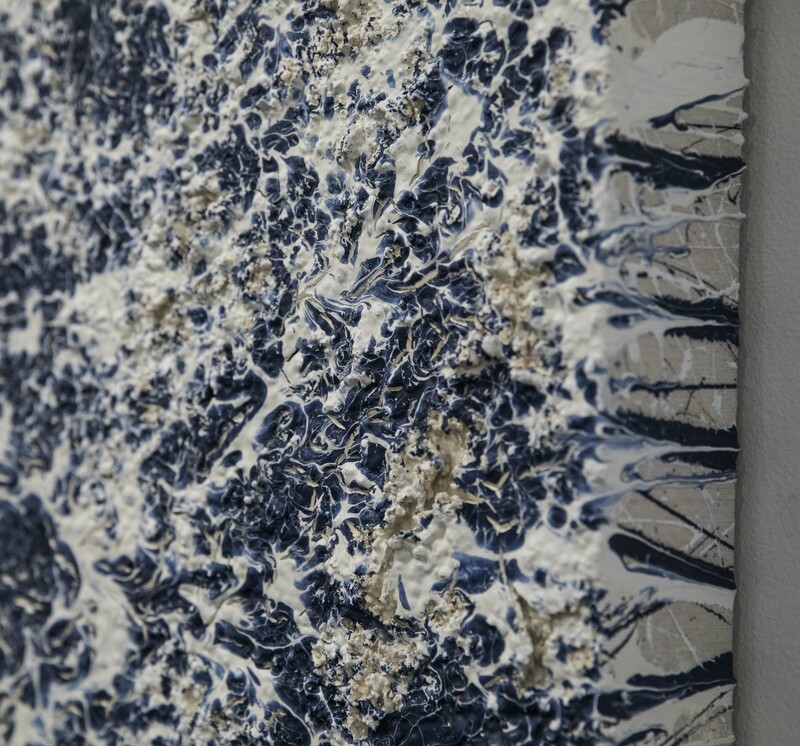 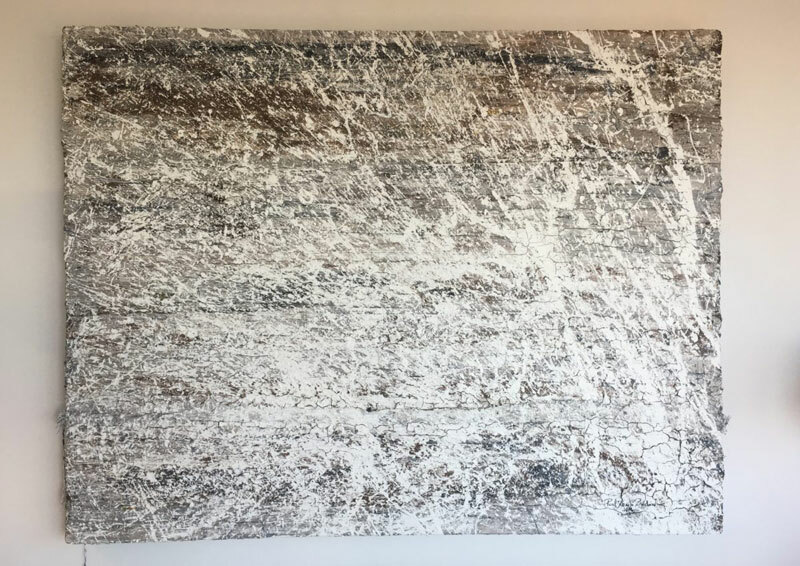 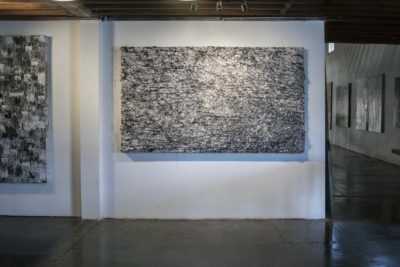 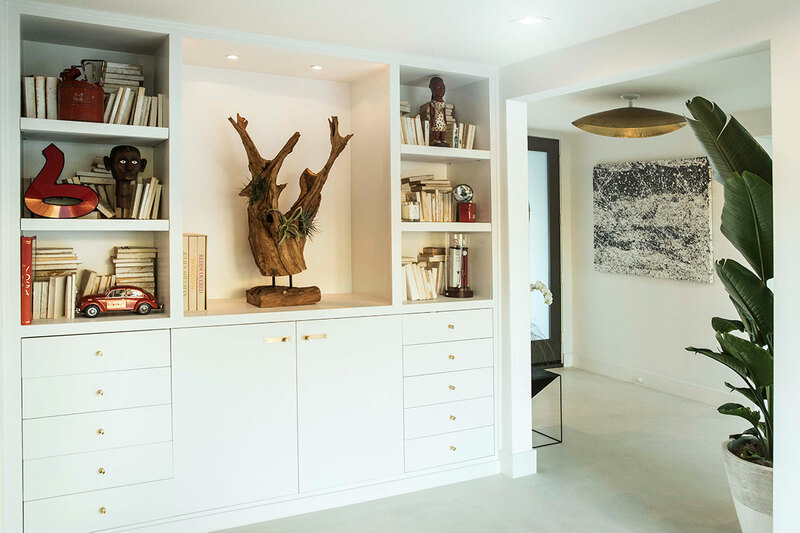 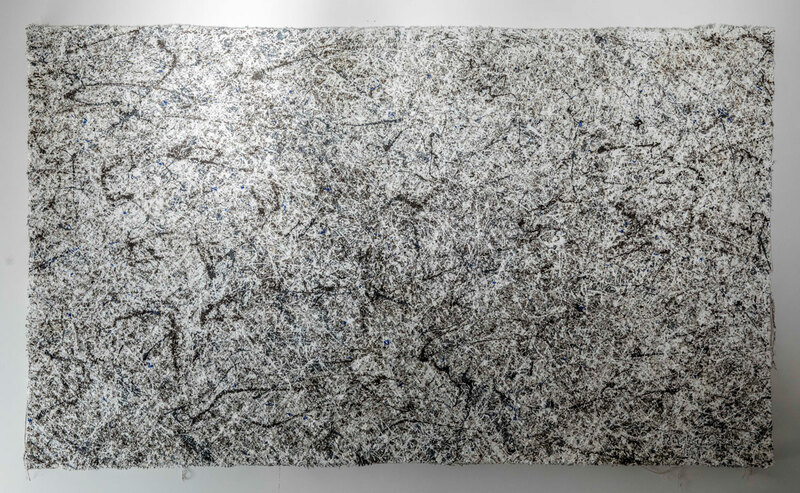 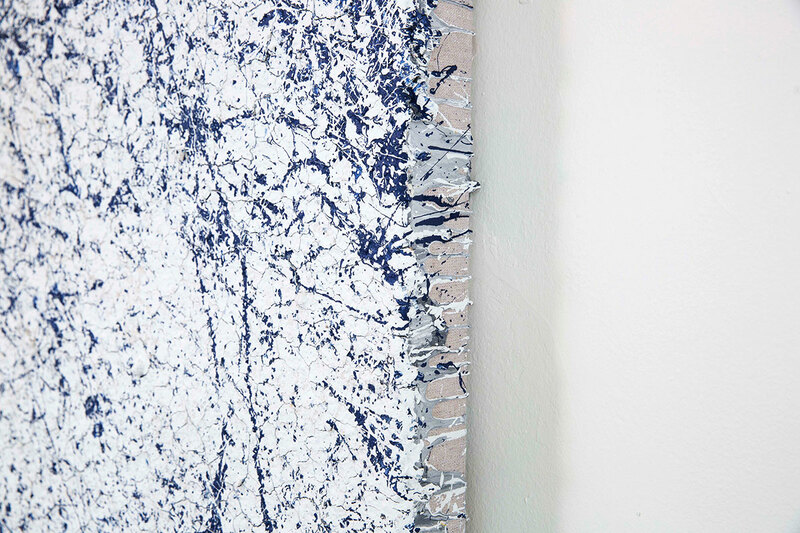 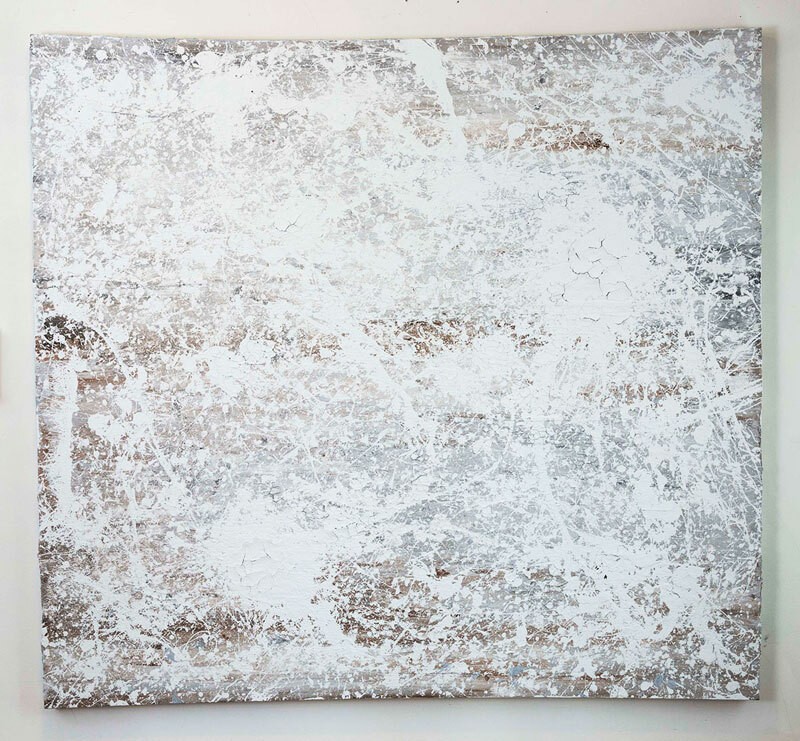 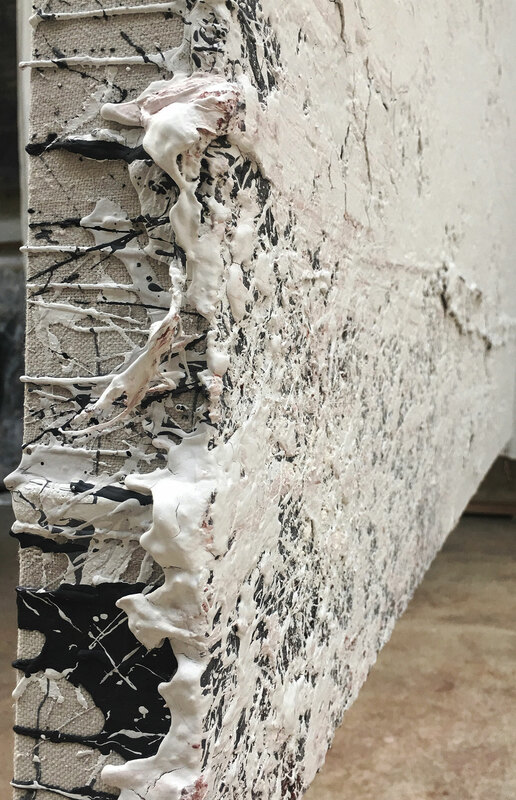 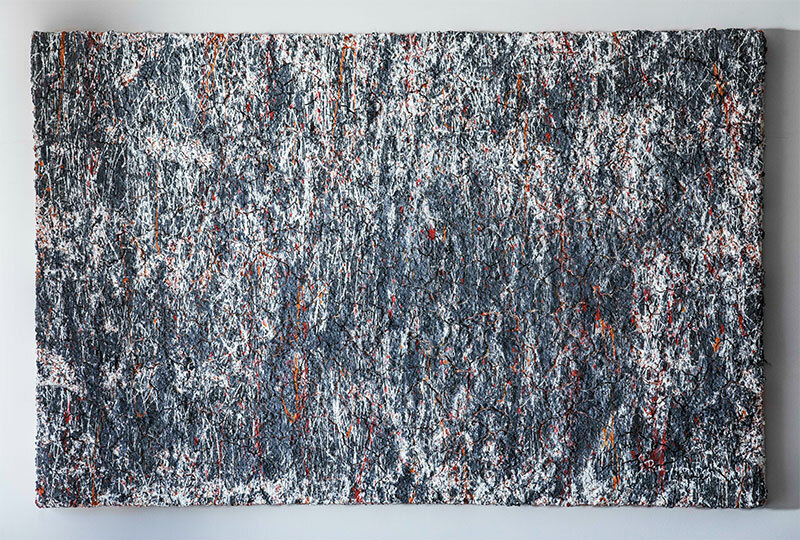 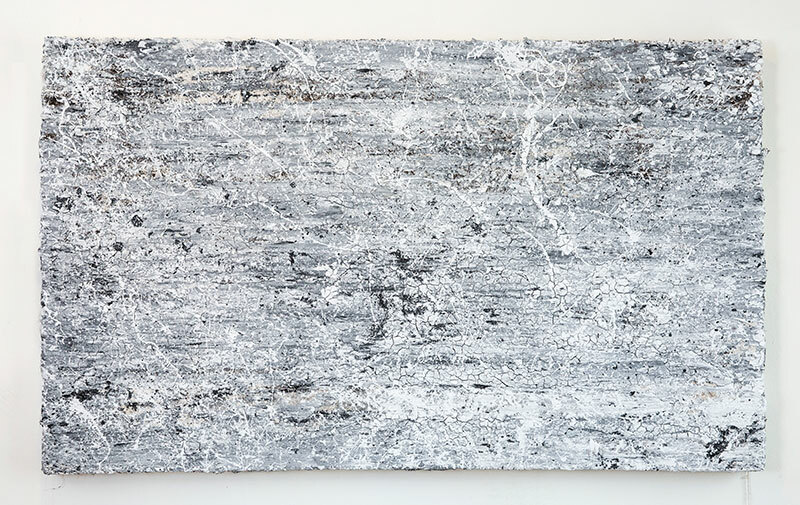 Paul Jacob Bashour is an abstract painter based in Los Angeles and has exhibited his works in Paris, Los Angeles, Chicago, and New York, attracting the attention of collectors, designers and art enthusiasts around the world. 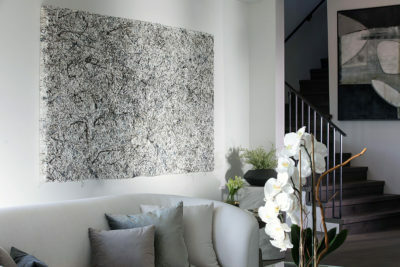 Paul began exploring painting, drawing and sculpture at an early age. 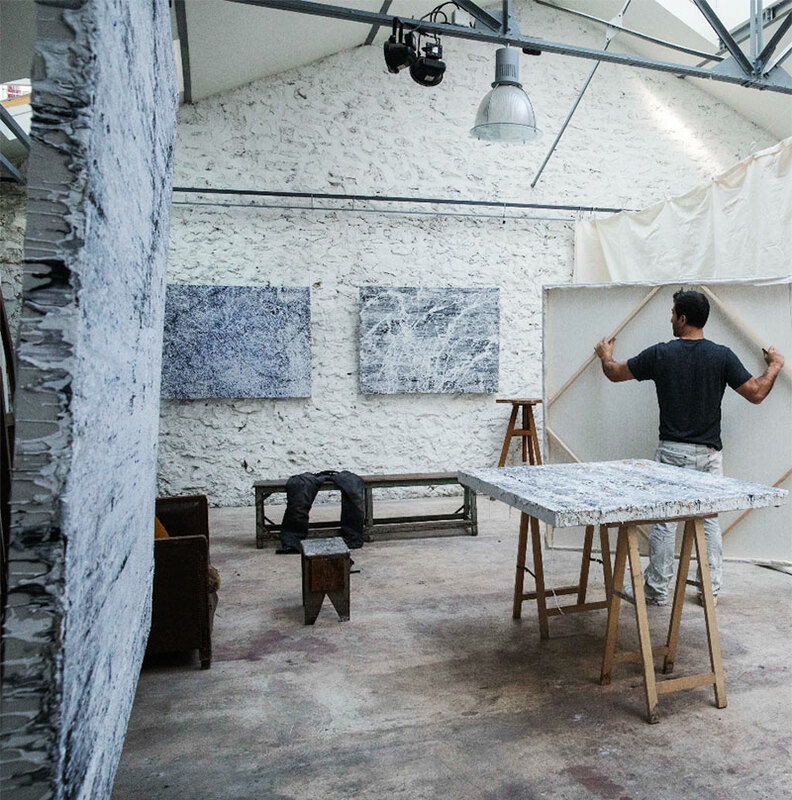 He grew up in an artistic household, which moved from the midwest to Stockbridge, Massachusetts, home of illustrator Norman Rockwell, near the studio of sculptor Daniel Chester French, Chesterwood. 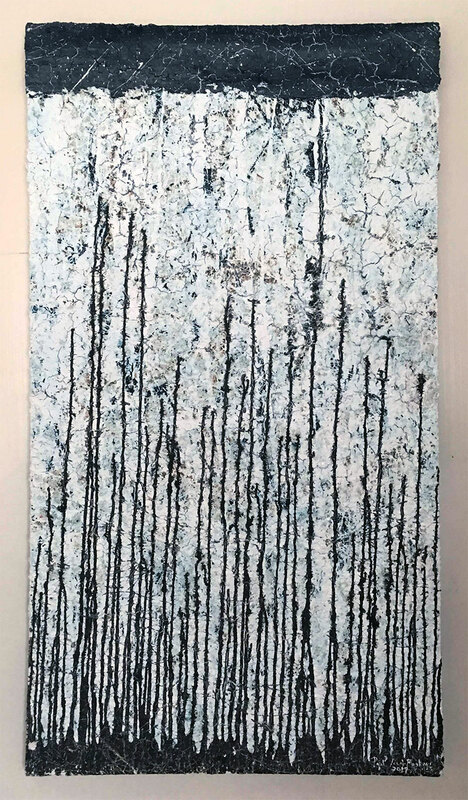 Inspired by these creative personalities and while apprenticing with local artists, his creative talents continued to grow within the Berkshires’ artistic atmosphere. In 1999, after visiting New York City, Paul became instantly hooked by the city’s architecture, culture, art and music scenes, and eventually moved there. 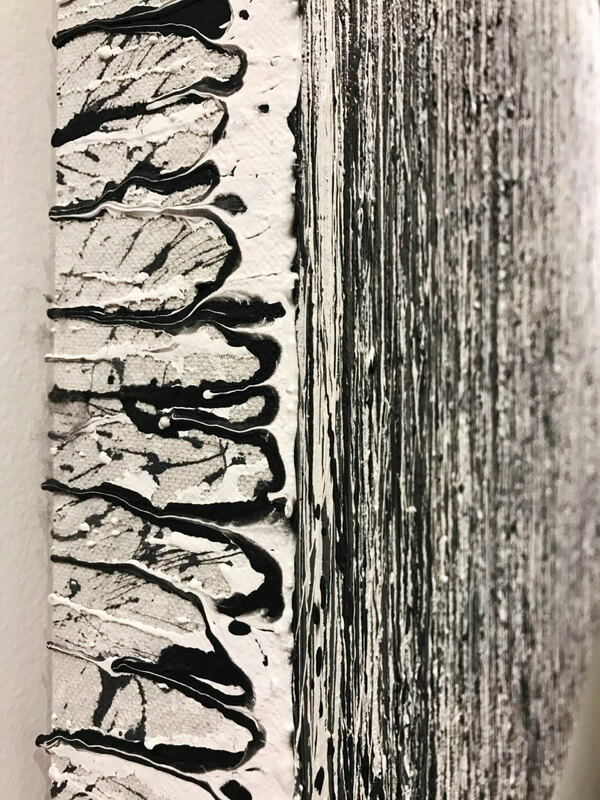 During these years in New York, he started a painting company to support his art, he also taught himself how to plaster and tile as well. 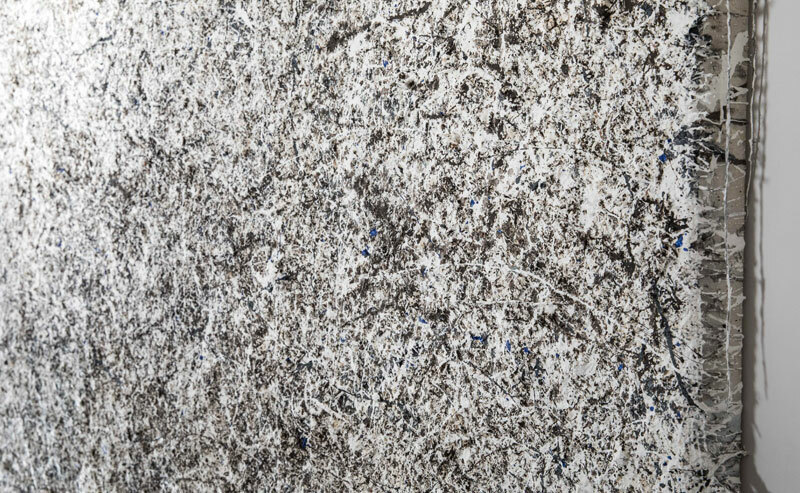 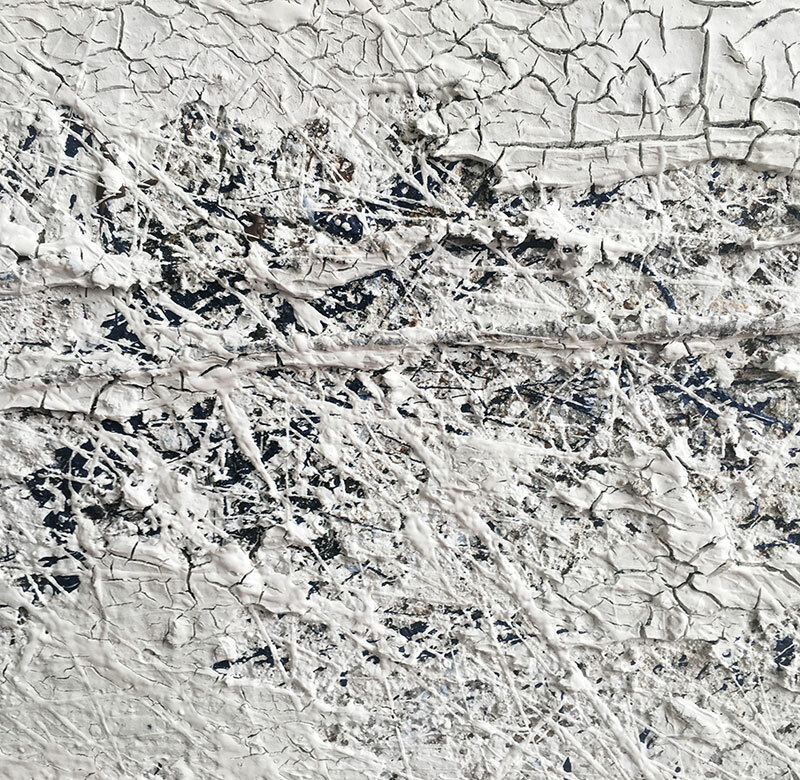 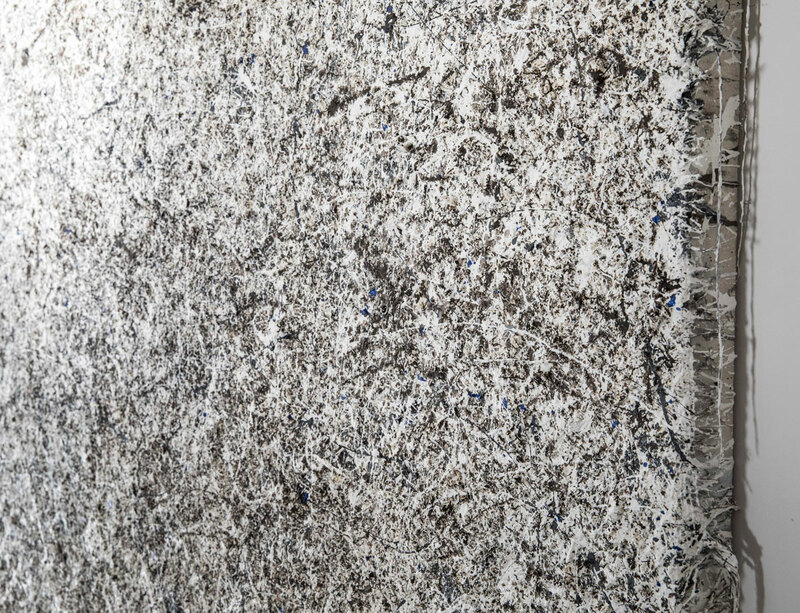 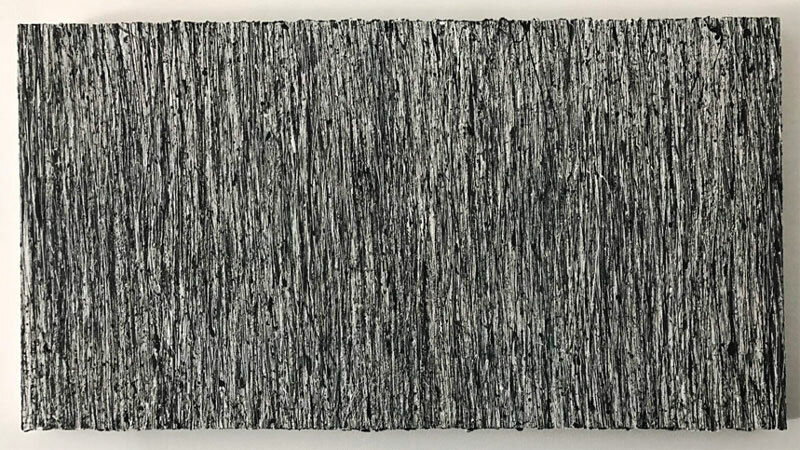 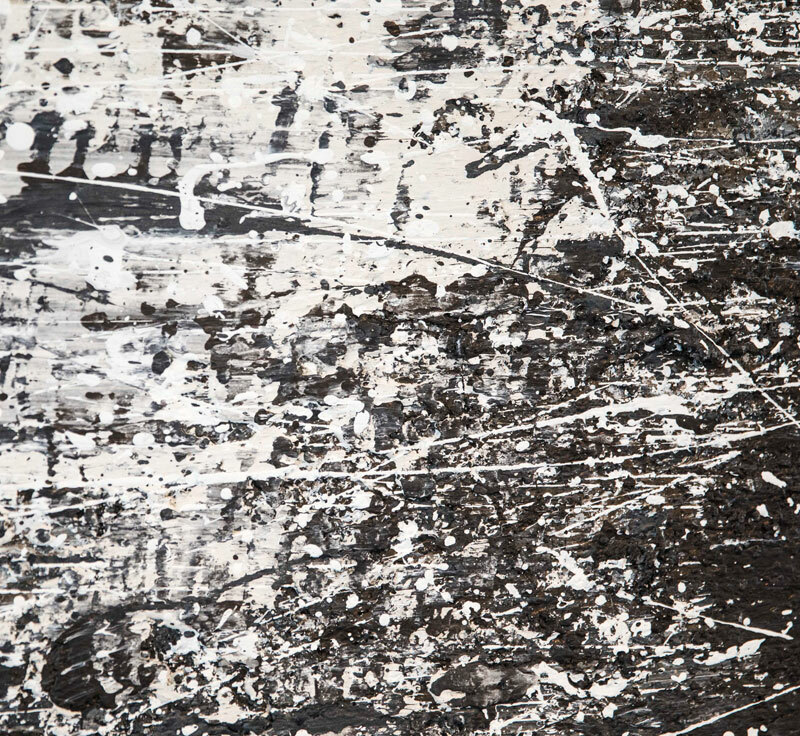 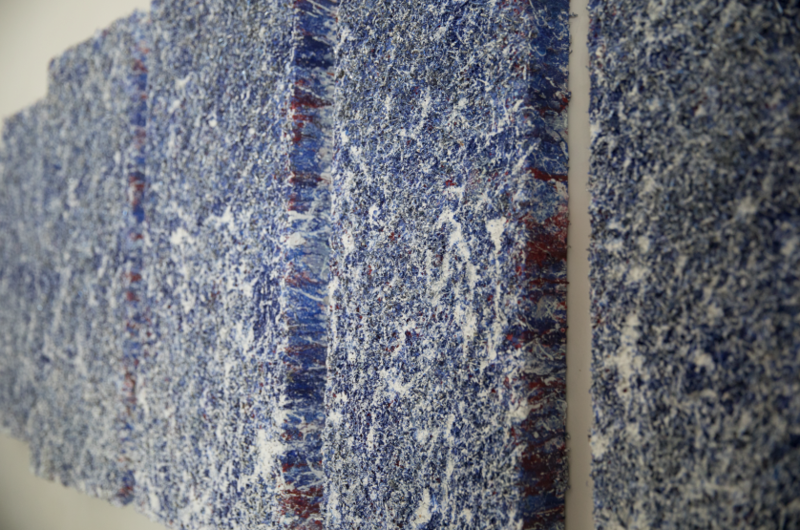 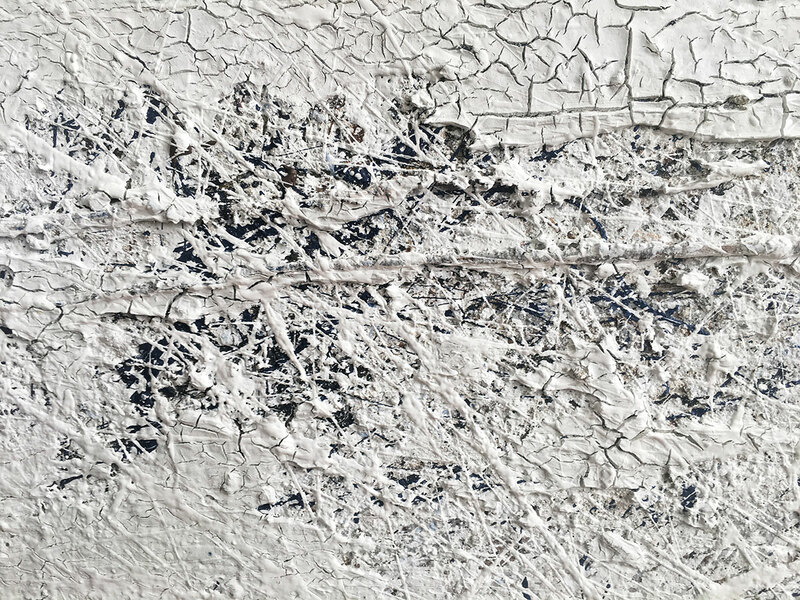 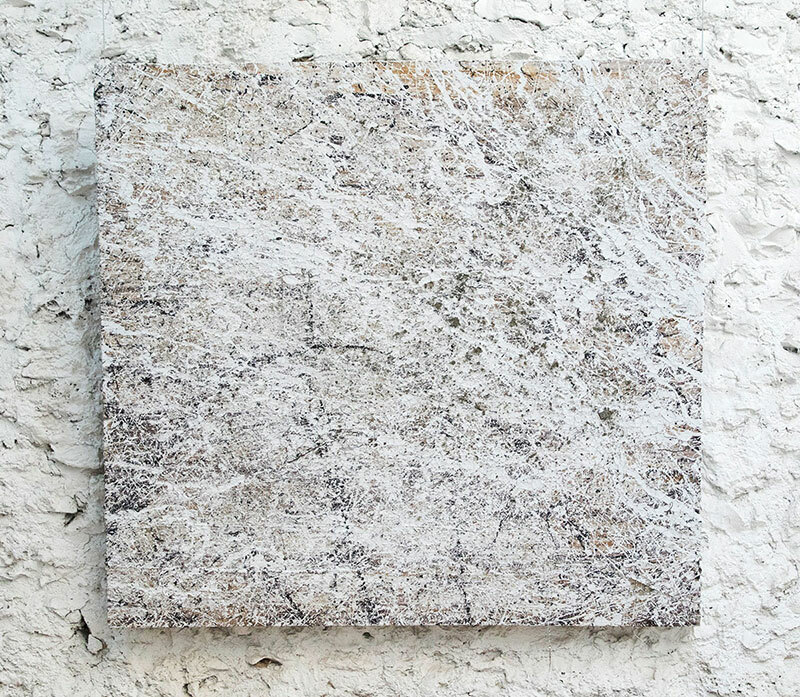 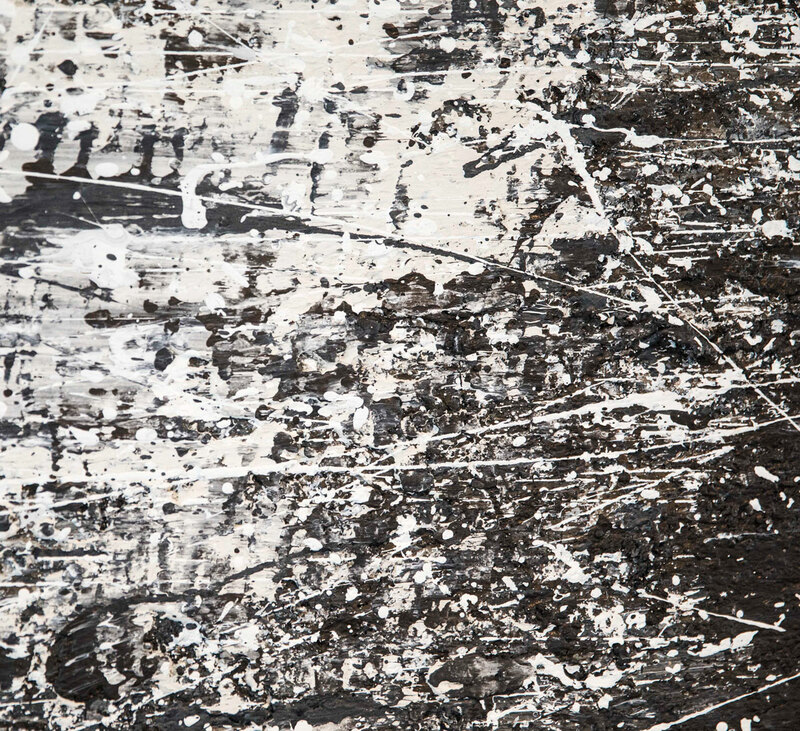 This work influenced his artistic technique and his evolution toward abstraction, and it contributed to his unique style of using tools and materials that were then at hand, like plaster, mortar, a trowel, drop cloth and gallons of acrylic paint. 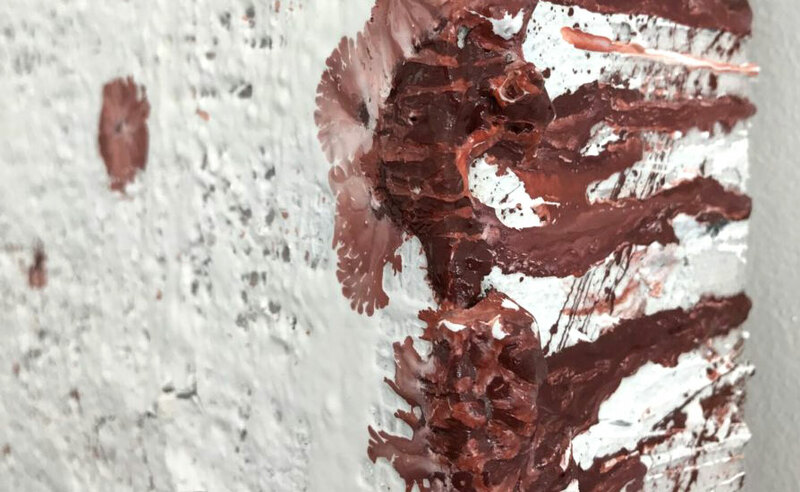 The past few years Paul stepped away from the paint brush and moved to a method using a technique with a trowel and his hands. 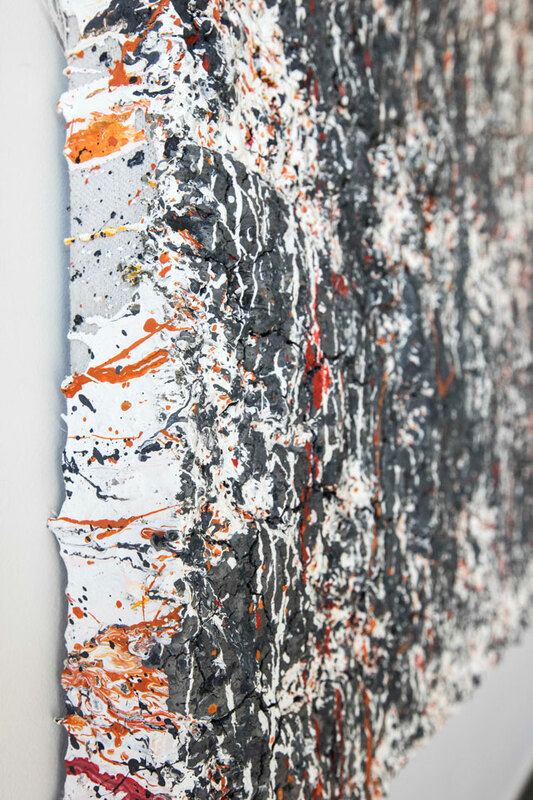 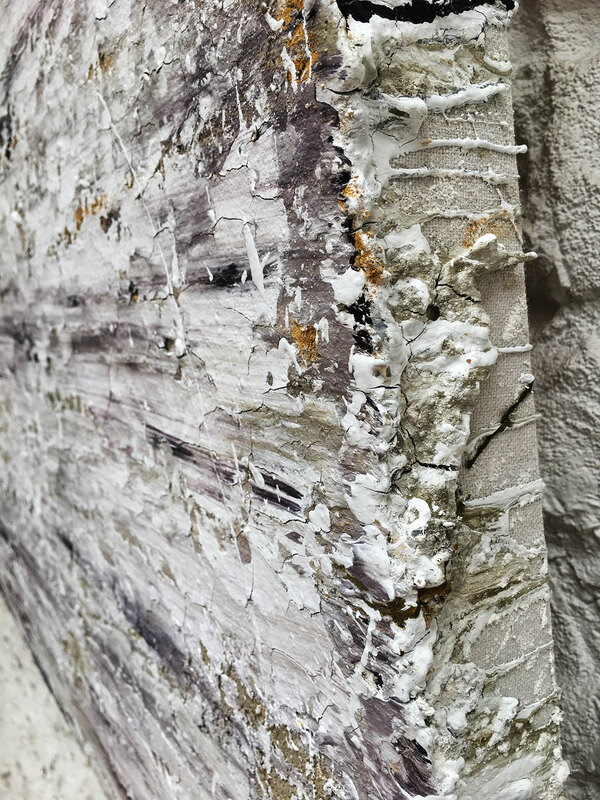 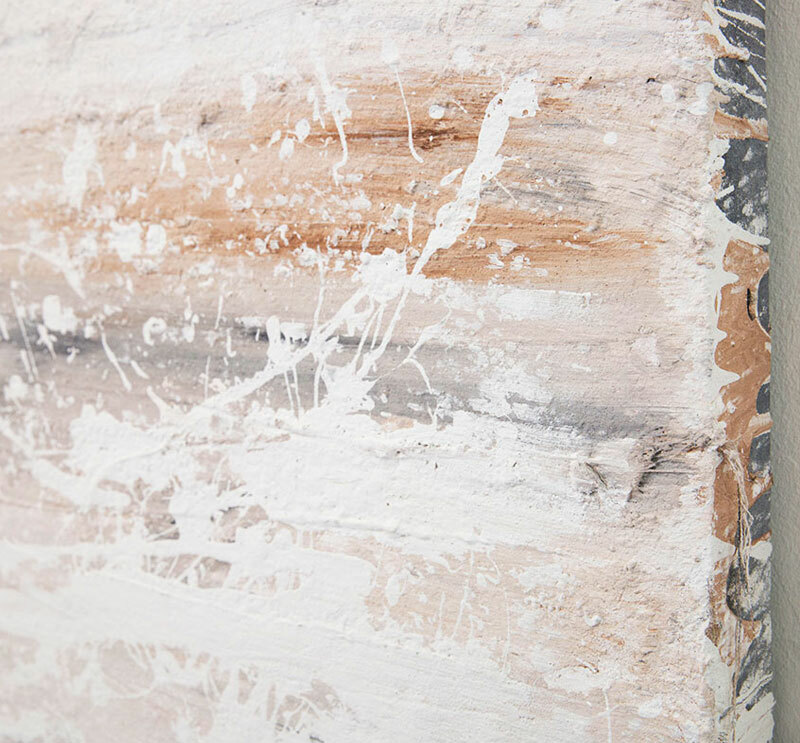 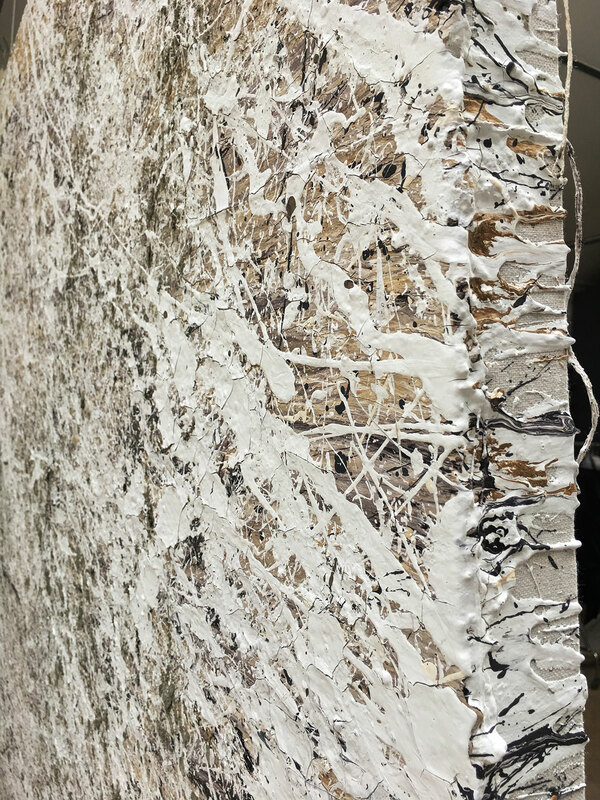 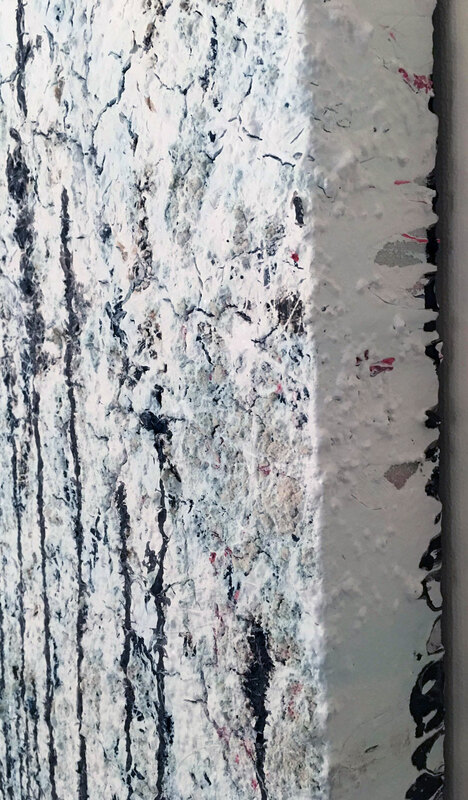 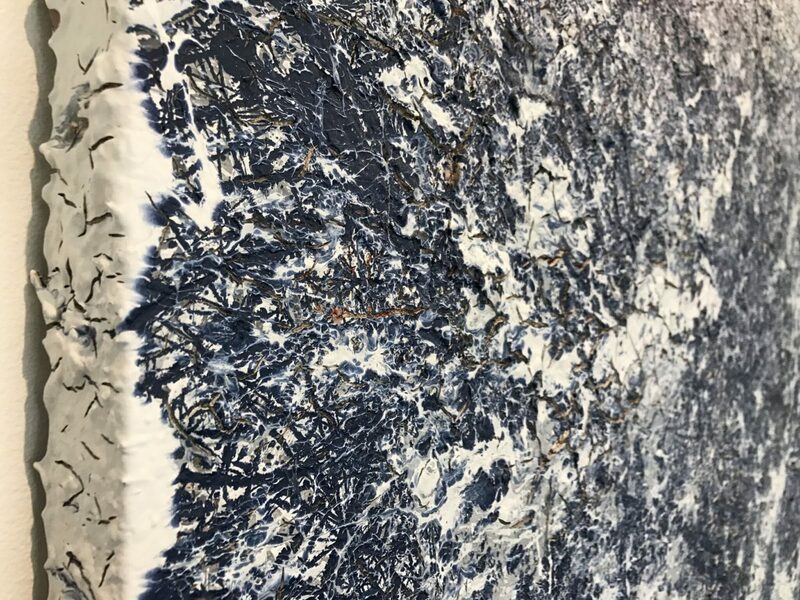 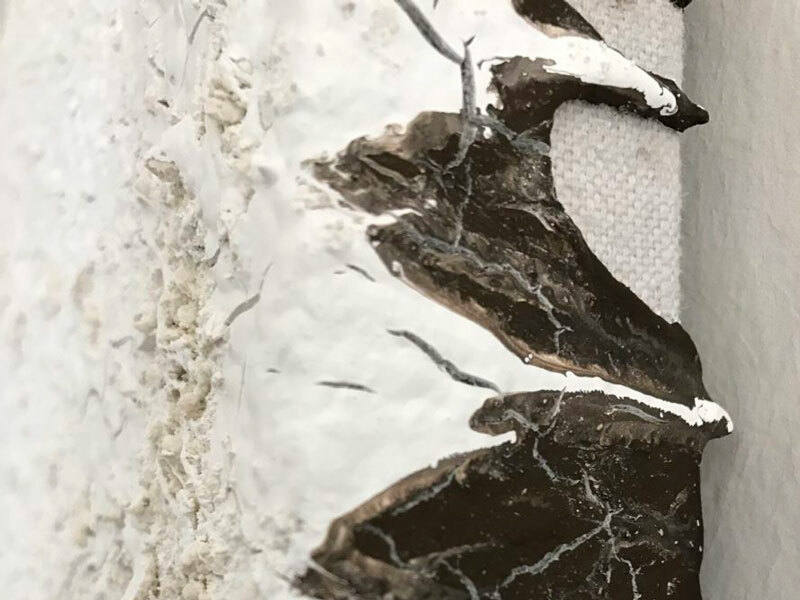 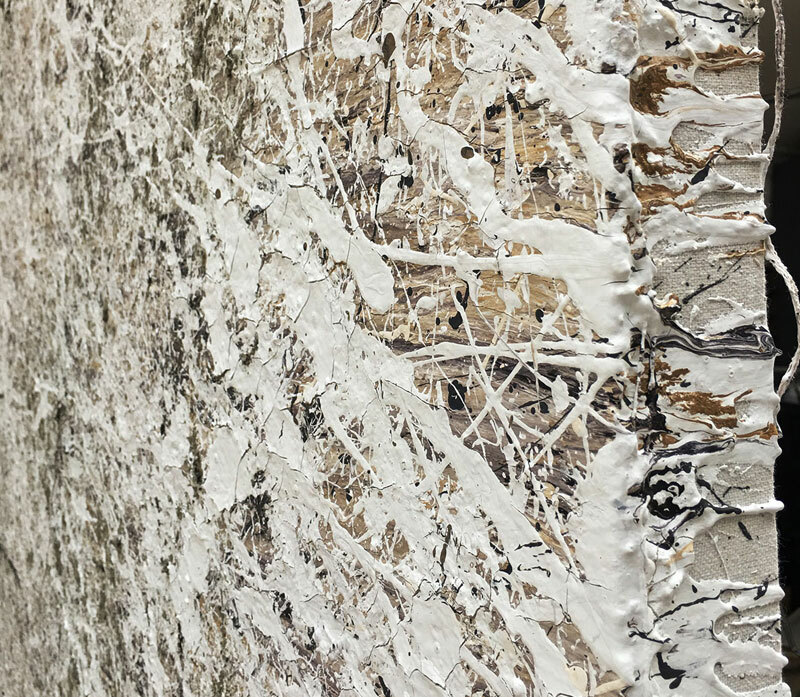 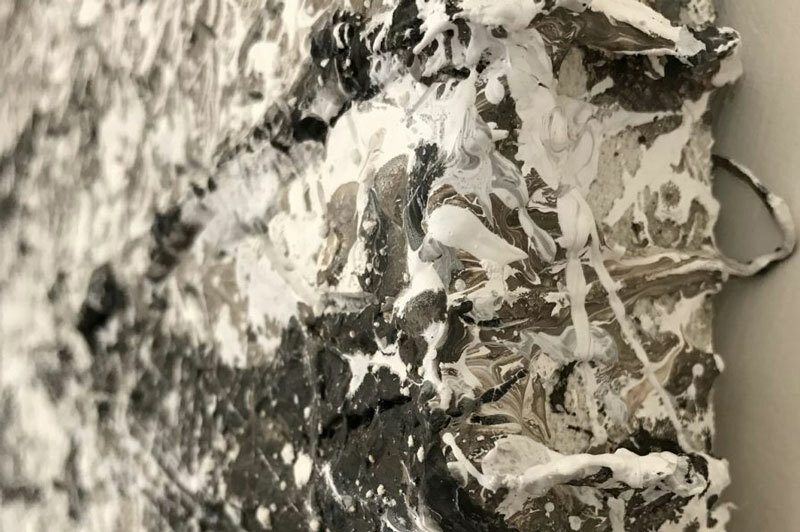 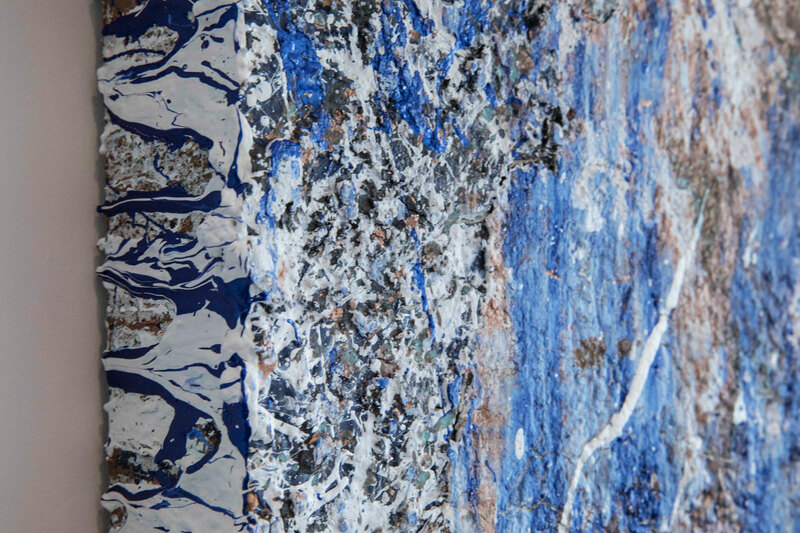 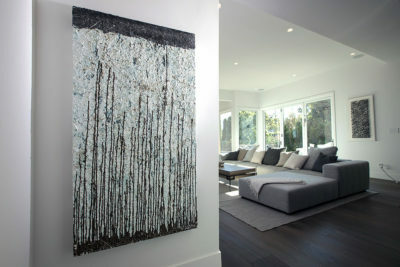 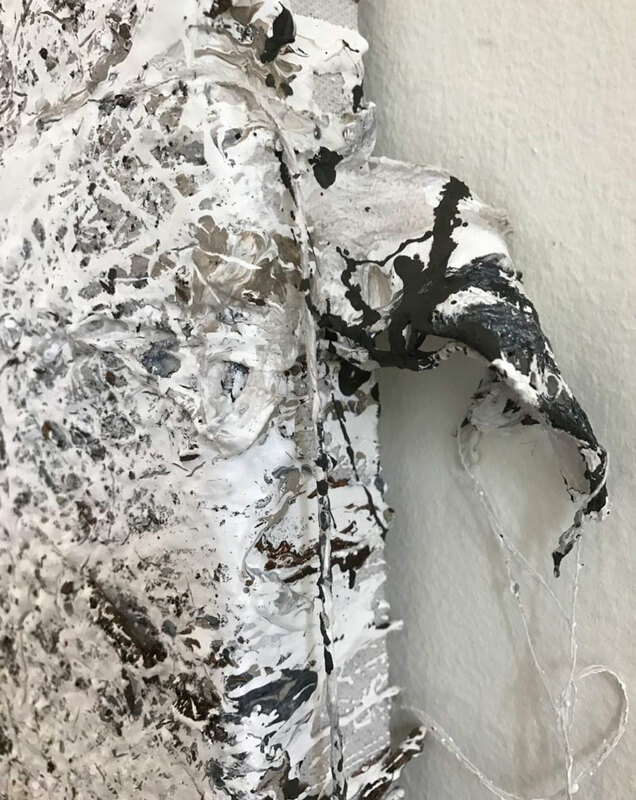 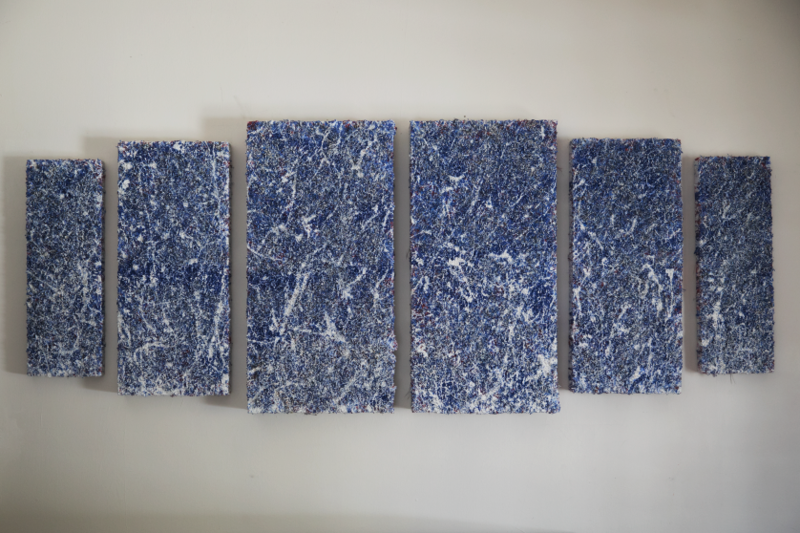 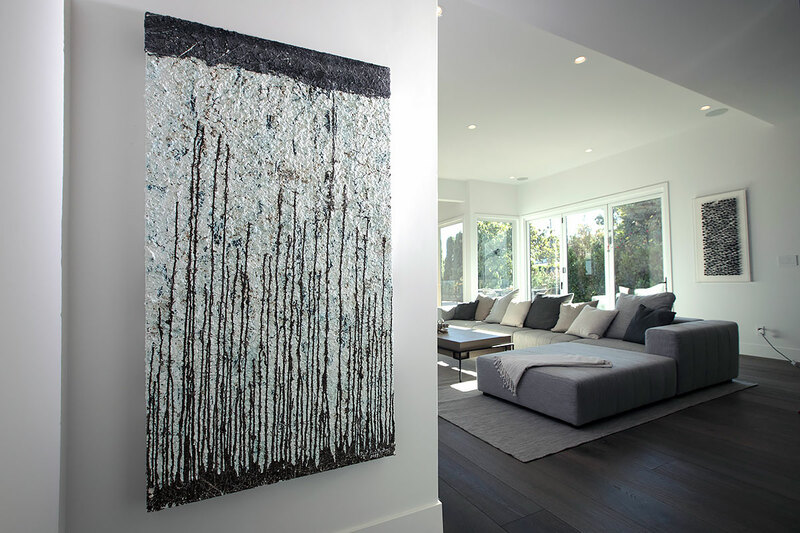 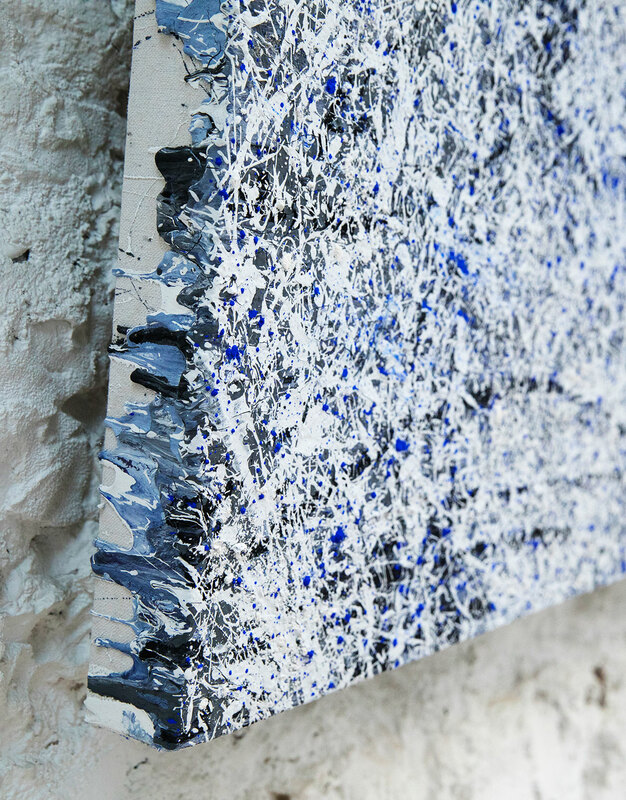 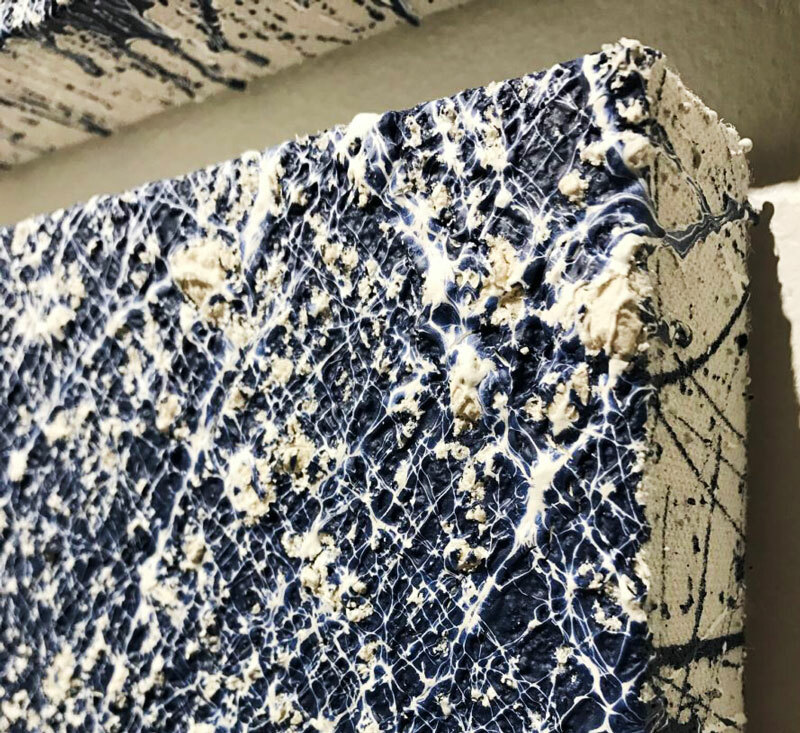 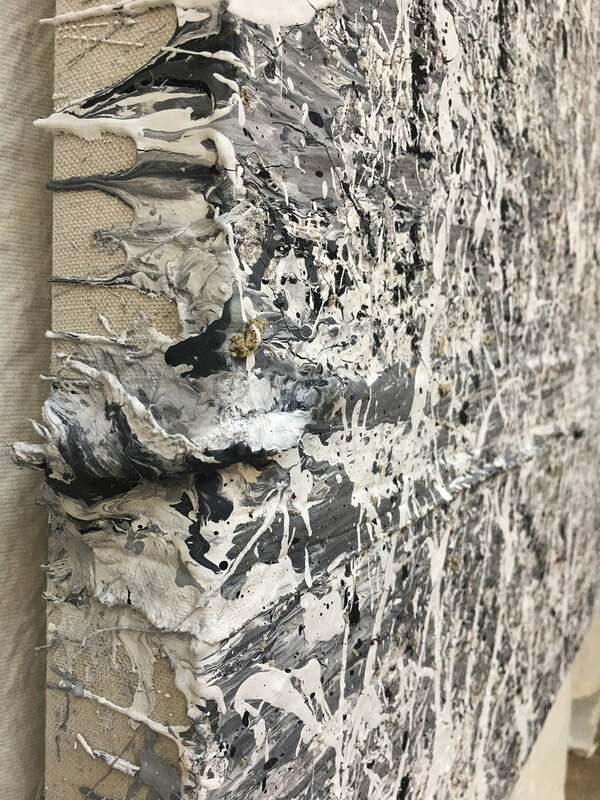 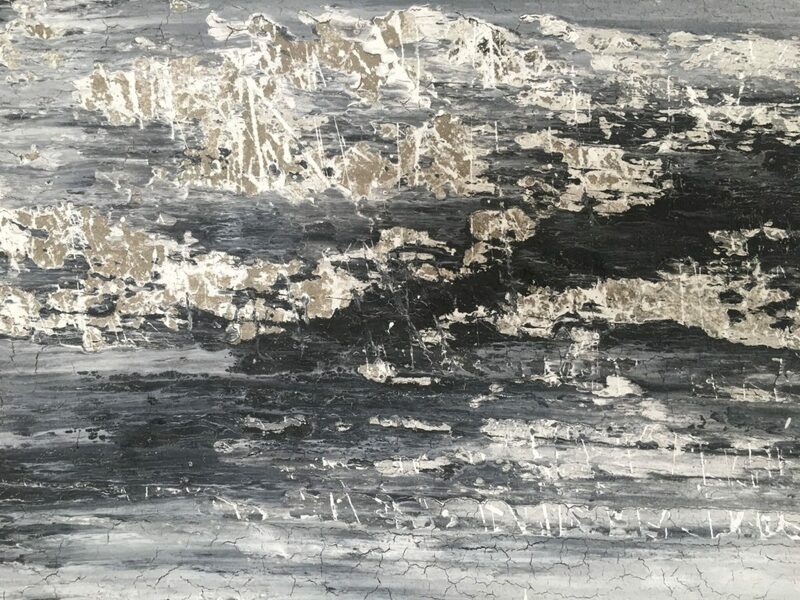 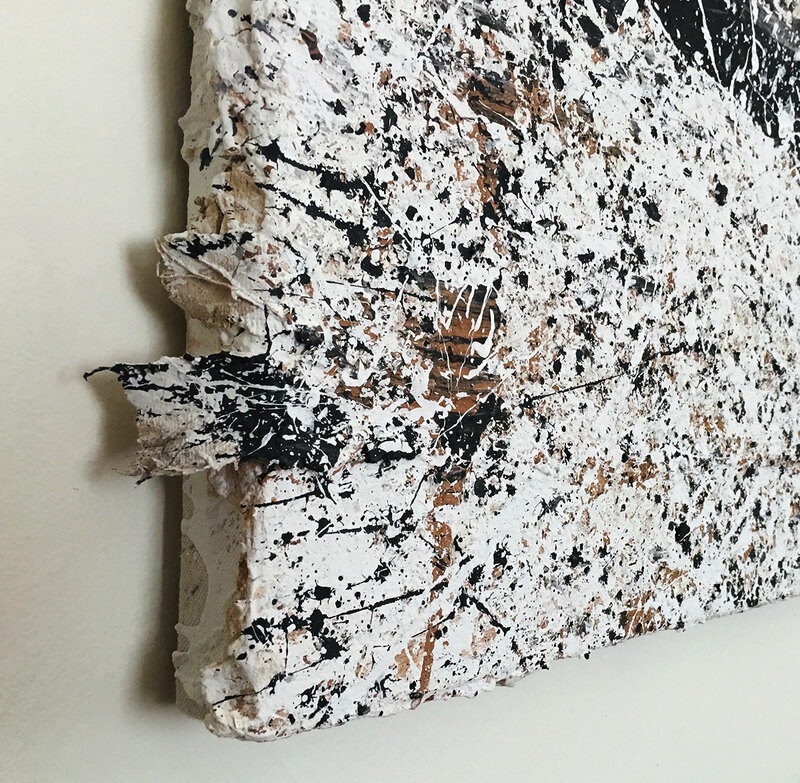 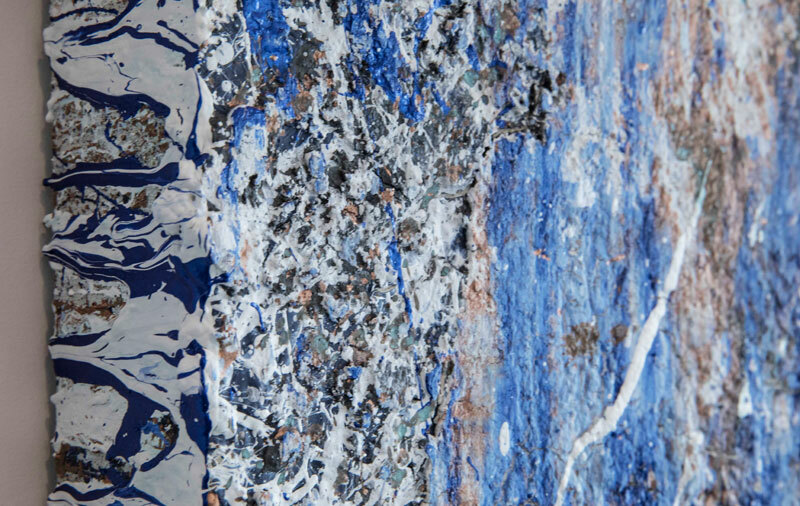 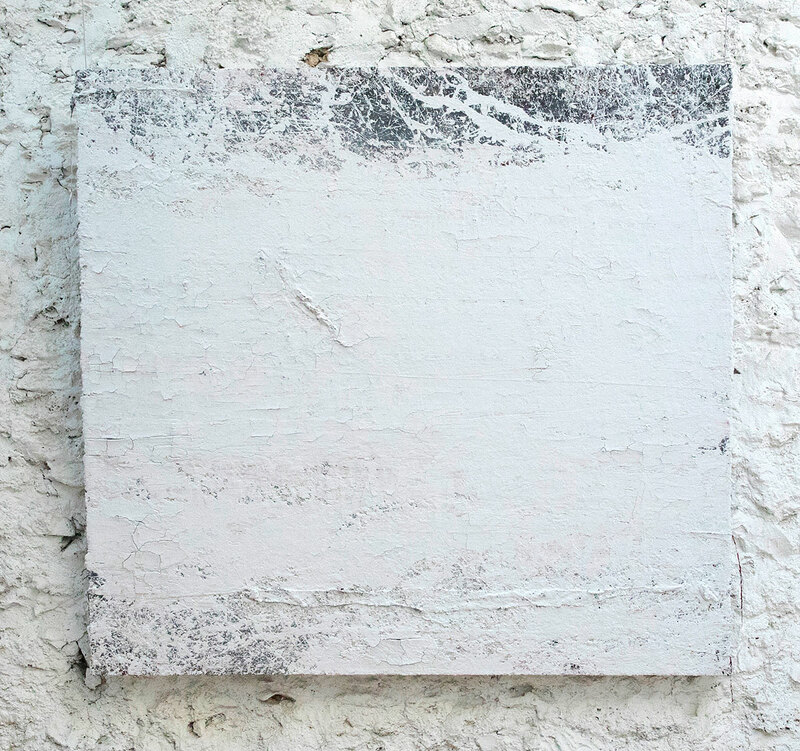 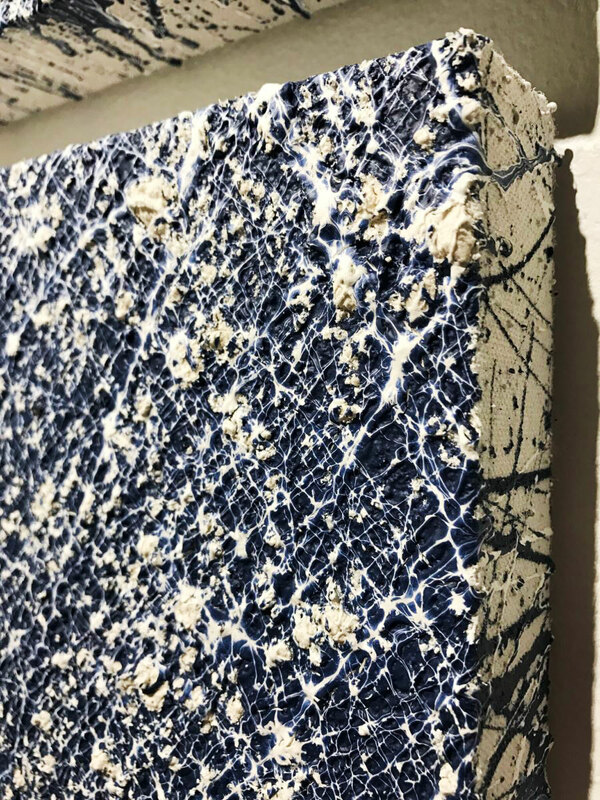 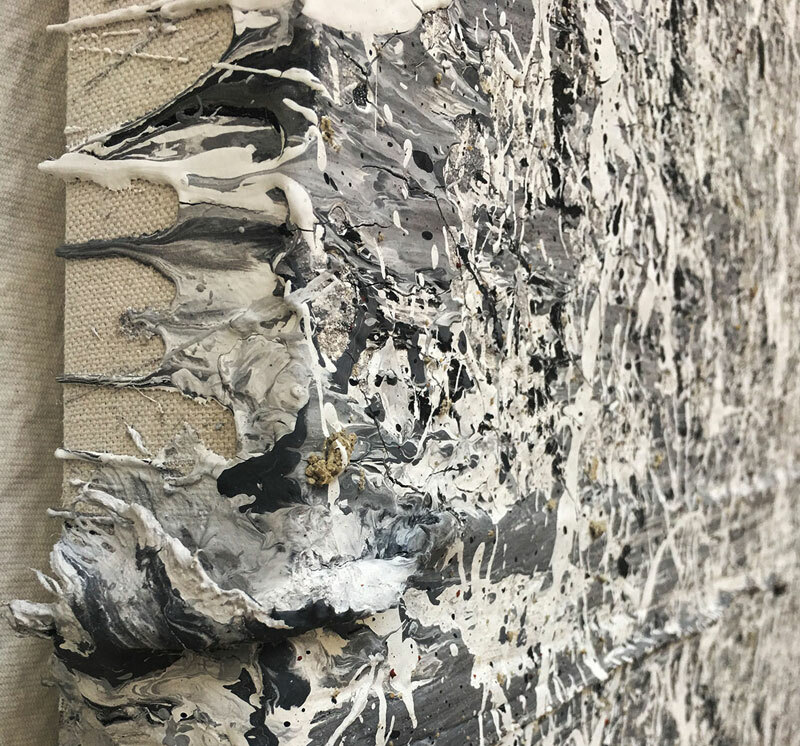 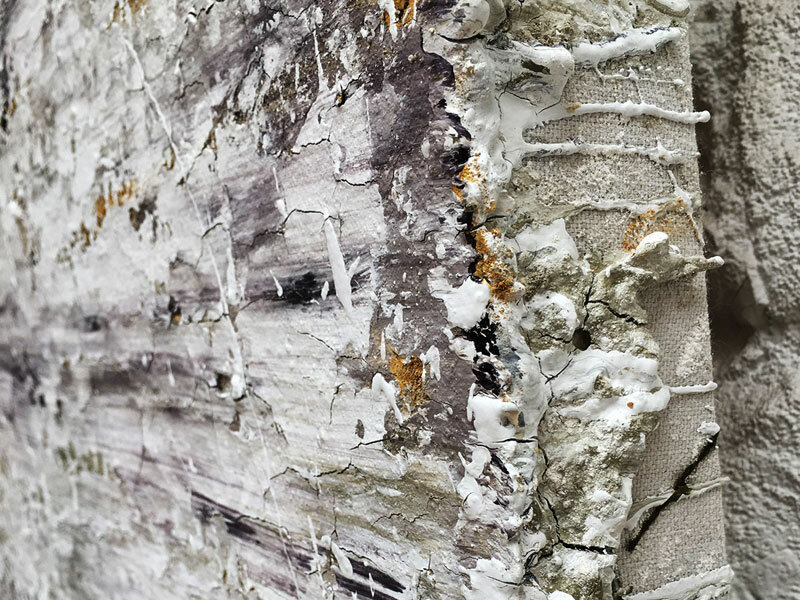 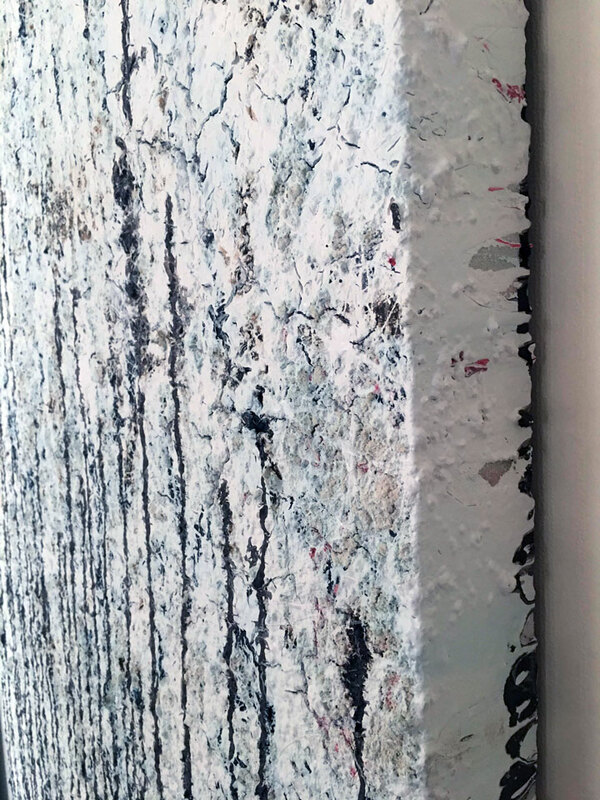 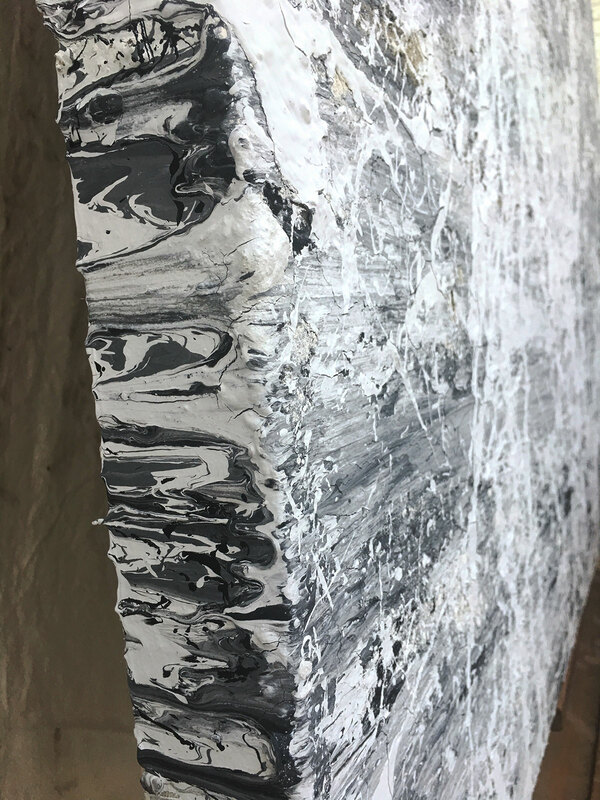 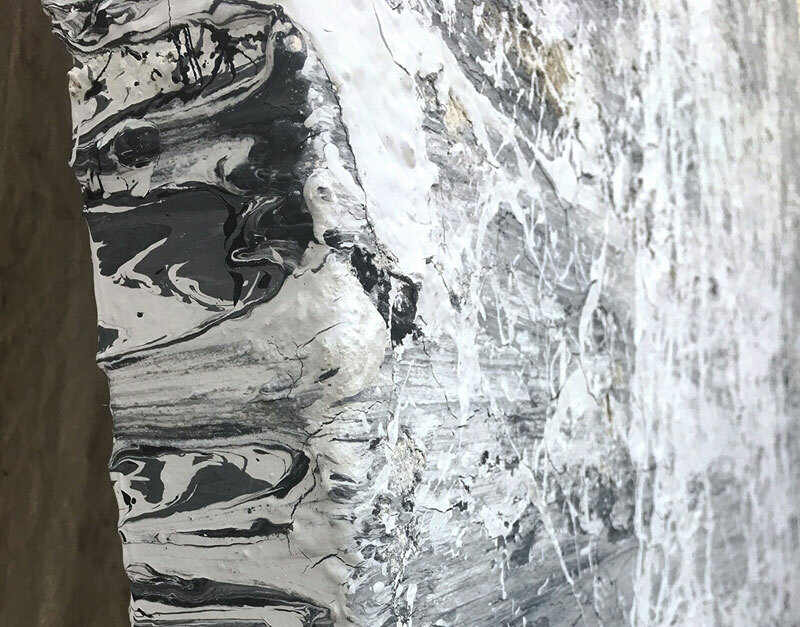 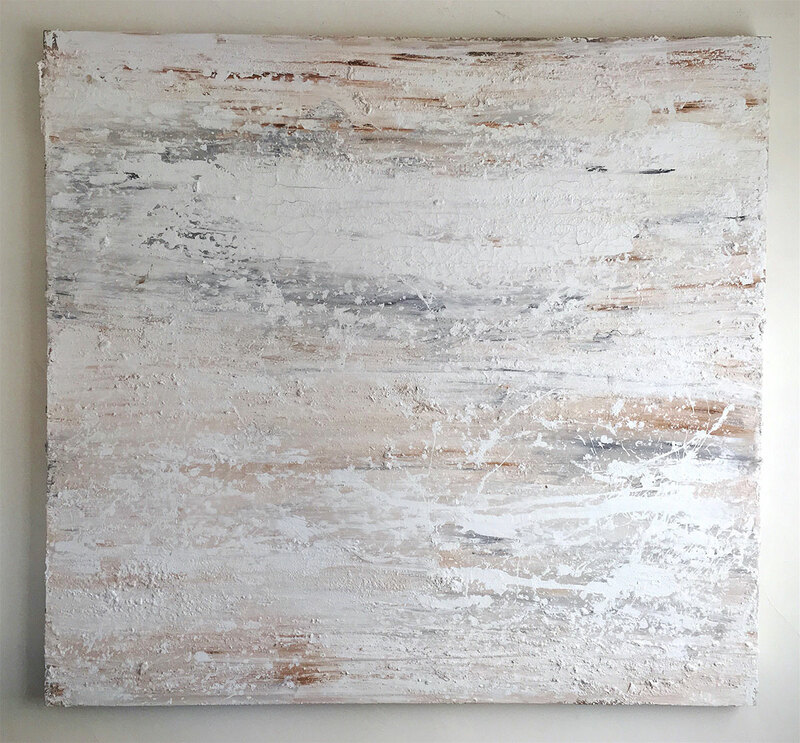 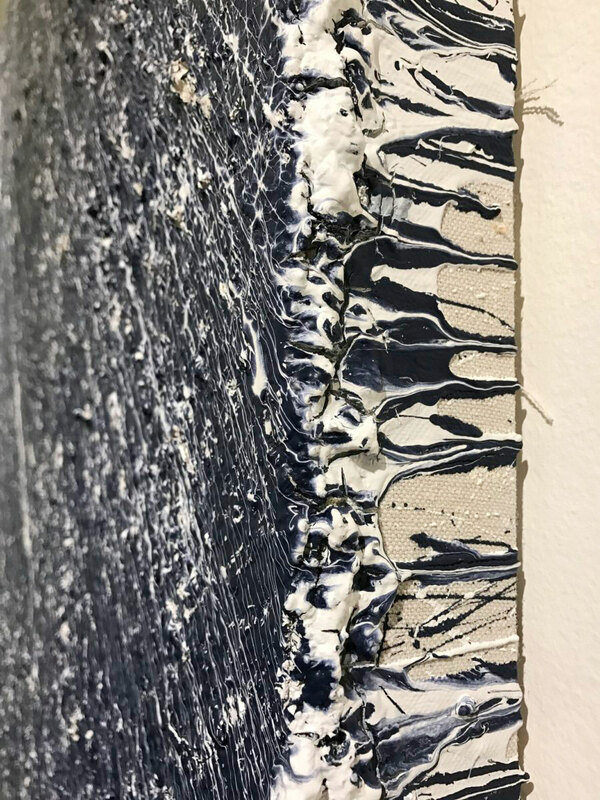 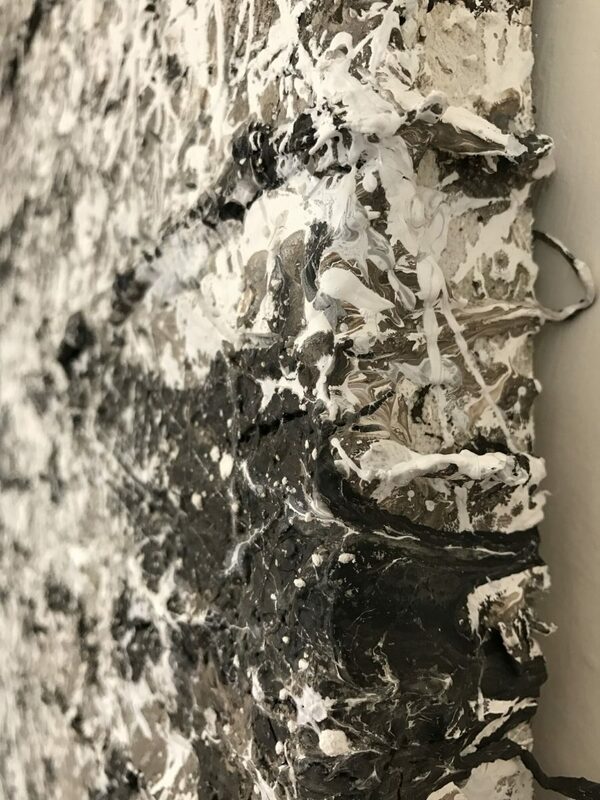 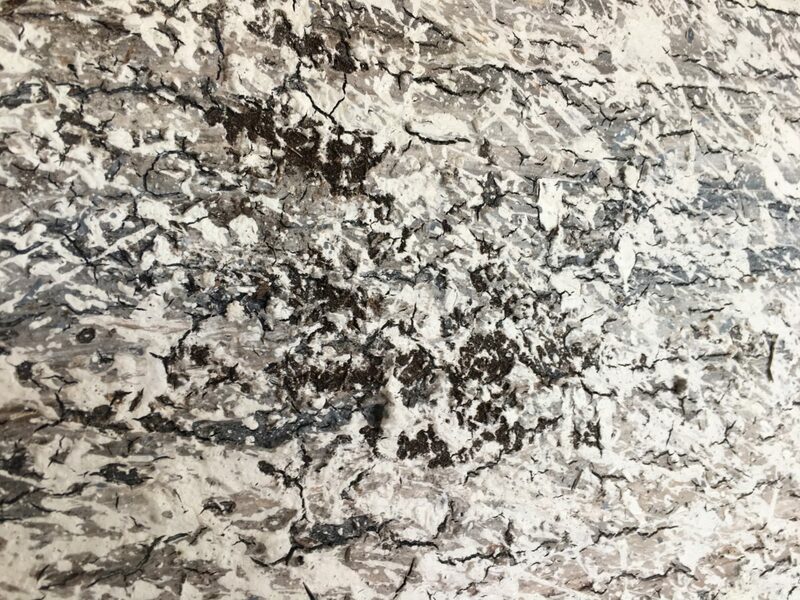 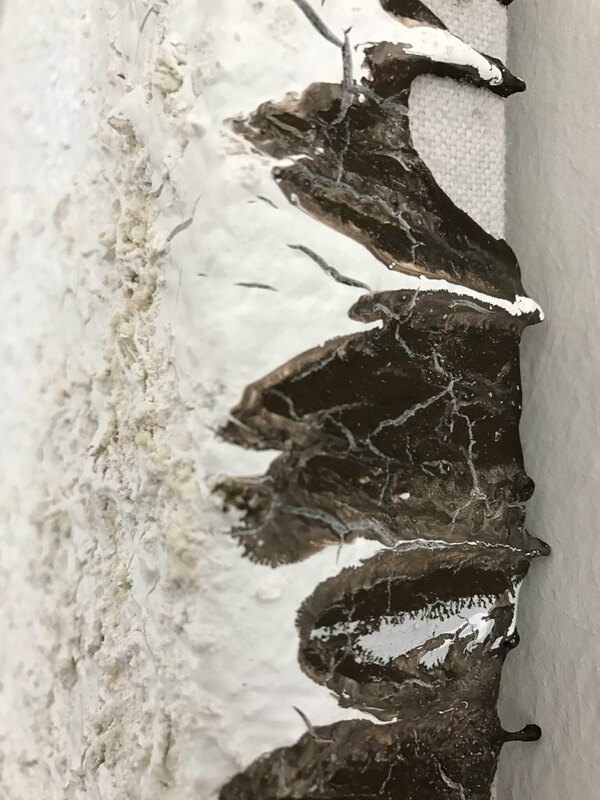 Resonating with past abstract expressionist painters, Paul glides his trowel through heaps of acrylic paint, adding and mixing in plaster, mortar, metal, scraps of leftover canvas and other materials and colors. 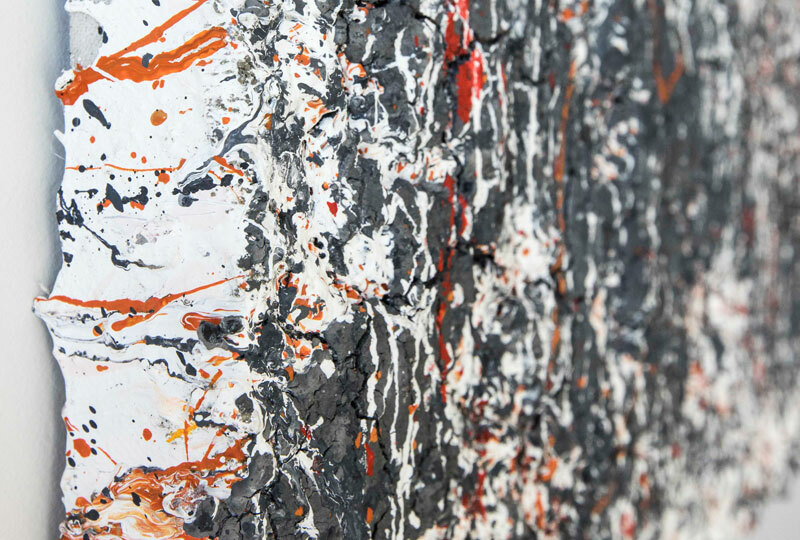 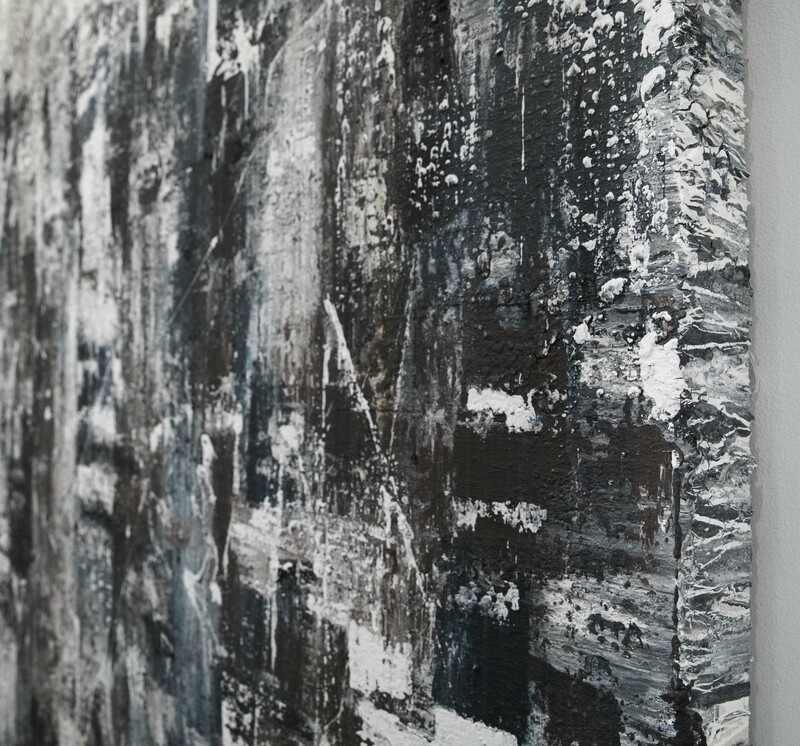 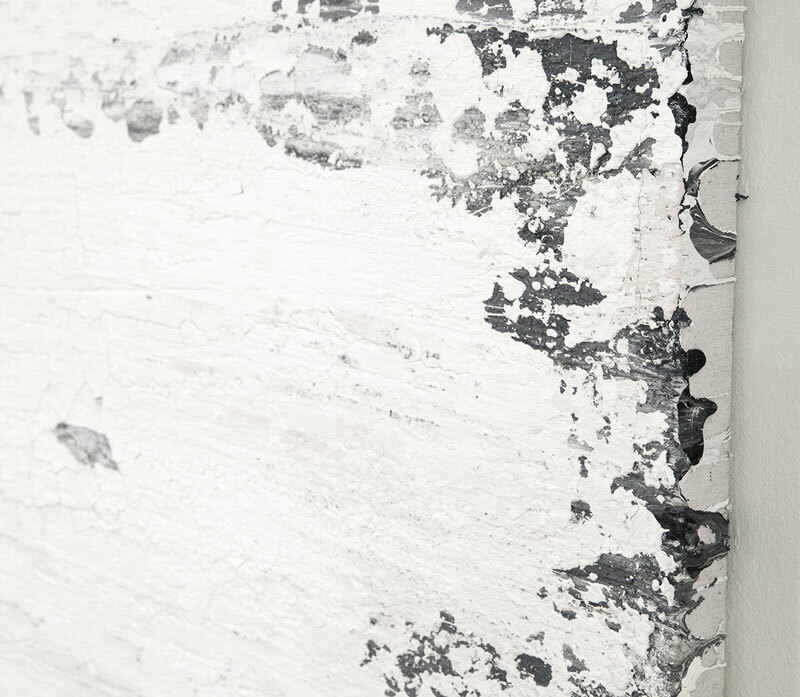 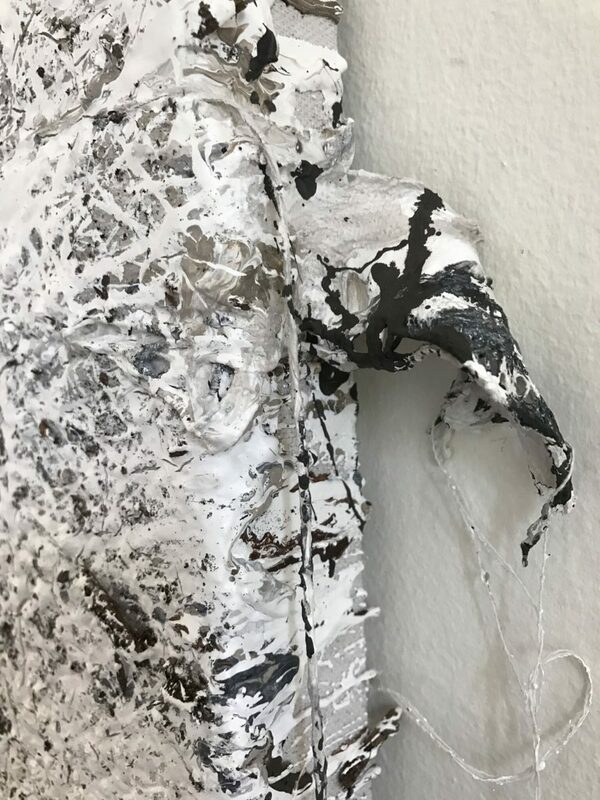 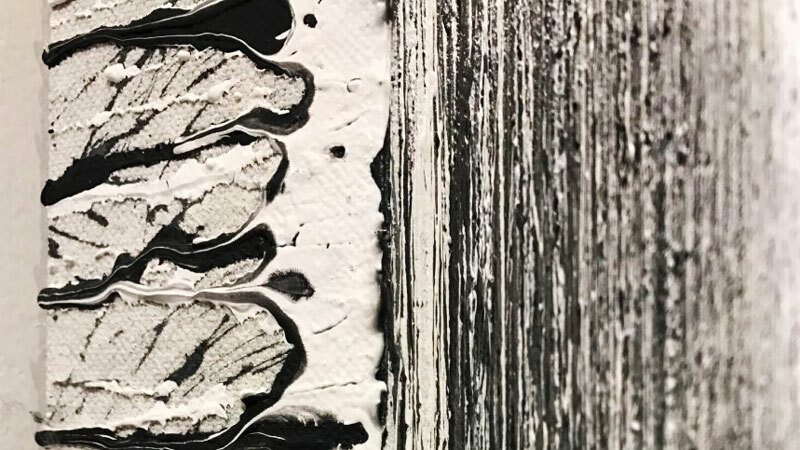 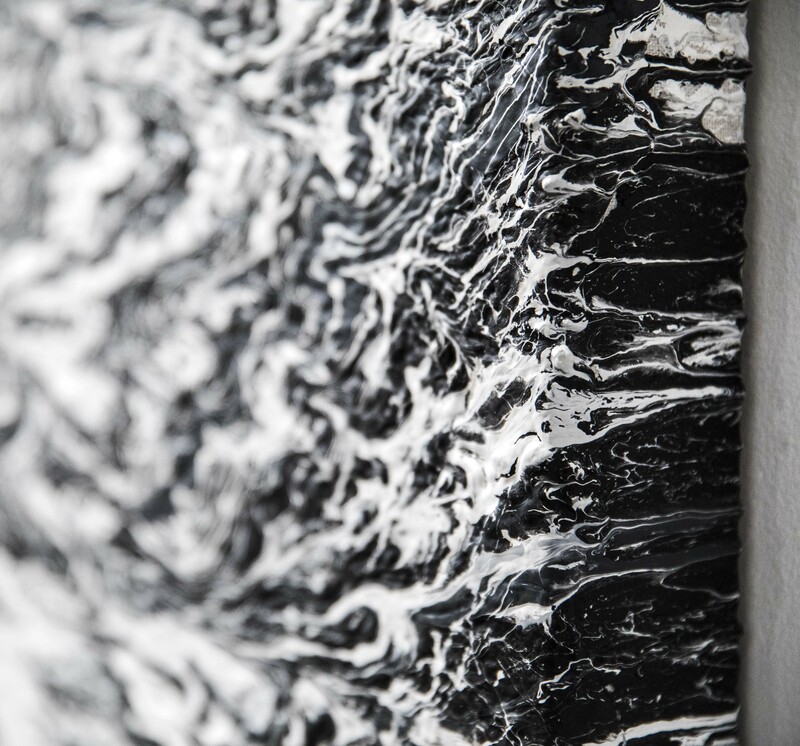 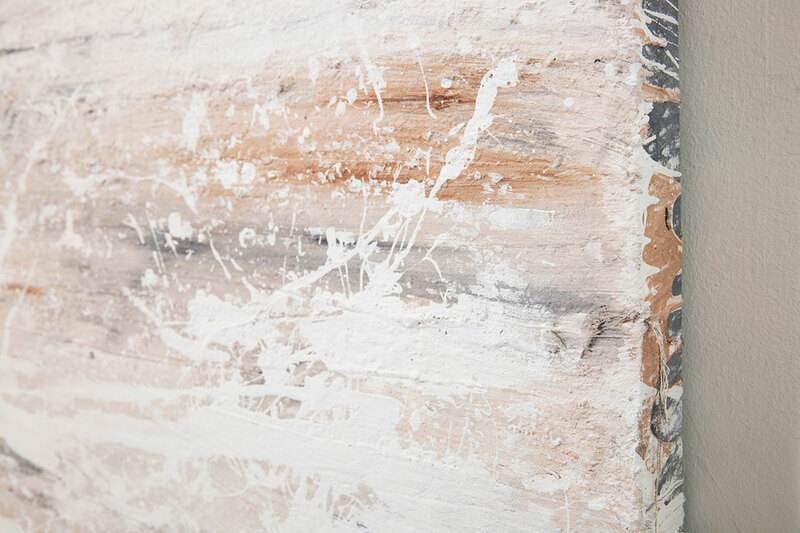 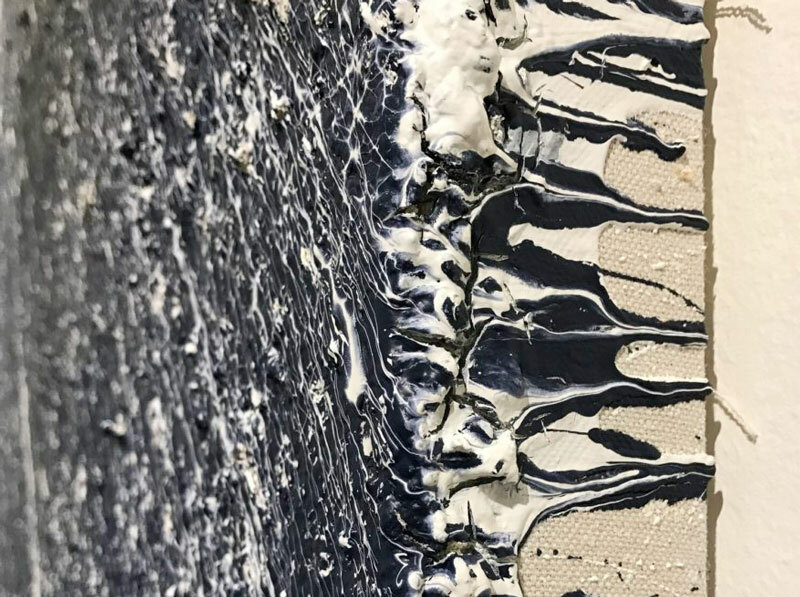 Between these layers, his hands throw in layer upon layer of paint, at times letting the paint drip or flick from his fingers into the layers created. 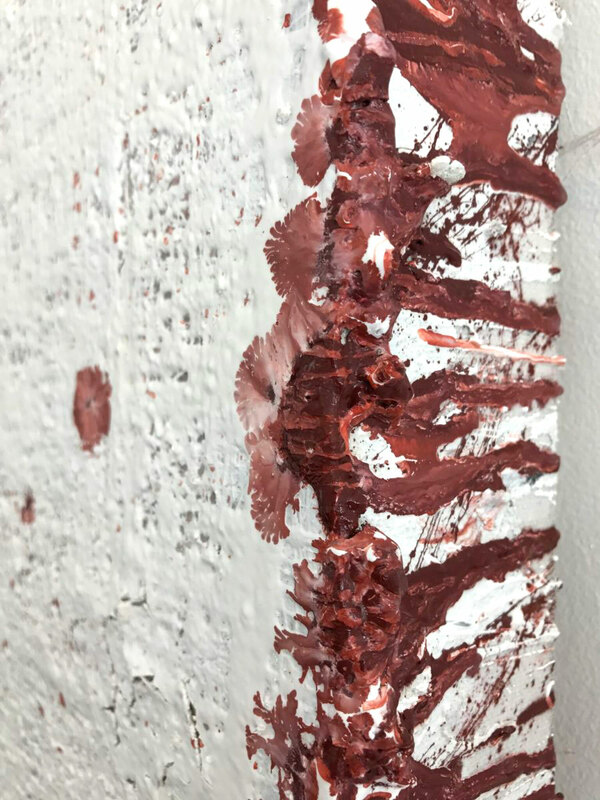 Paul paints with his emotions. 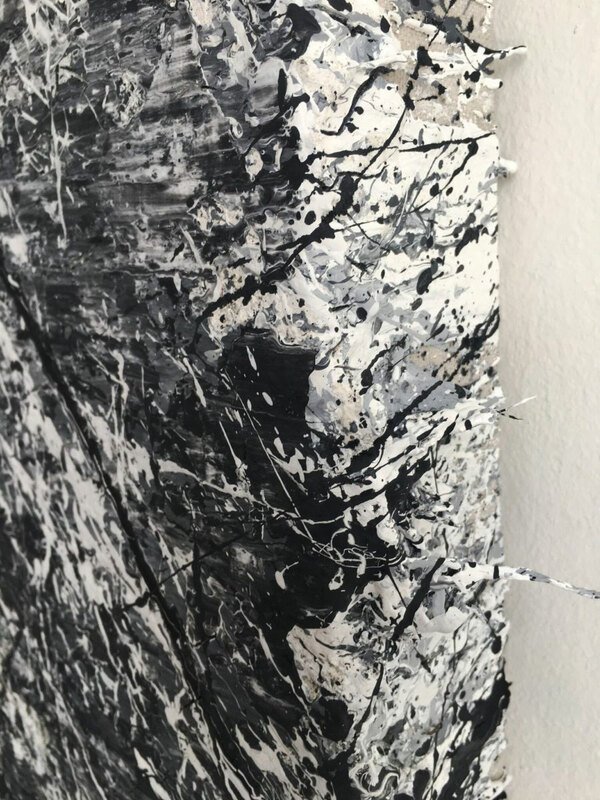 He starts with having an idea of what he wants to create, but lets his emotions take over to control the way the paint and the other materials are applied. 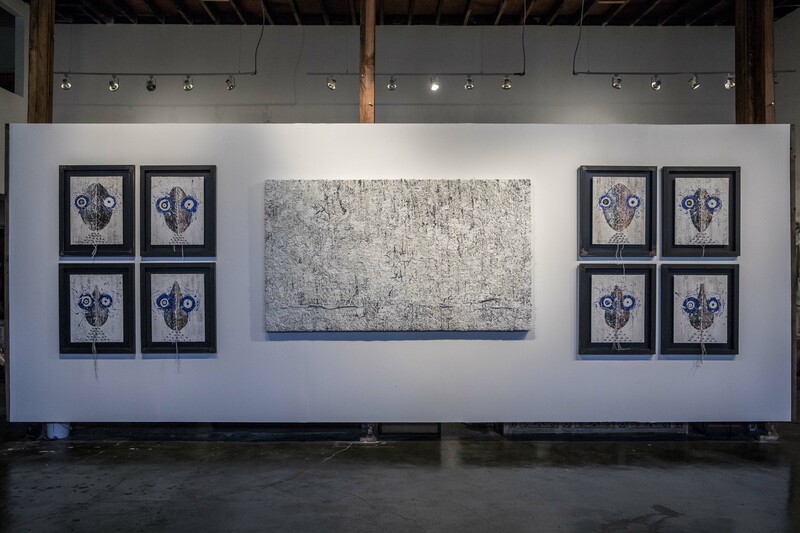 Paul Jacob Bashour now lives and works in Los Angeles and continues to explore and create in the visual arts. 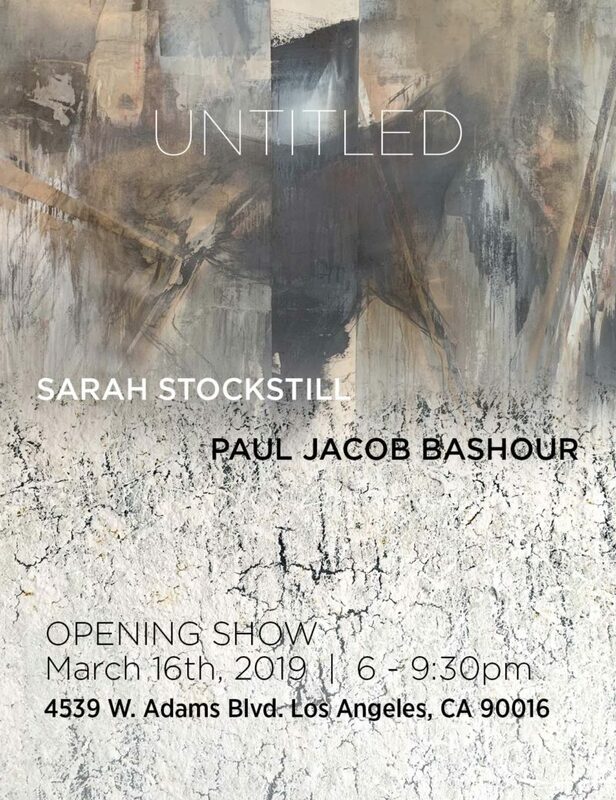 © Copyright Paul Jacob Bashour. All Rights Reserved.